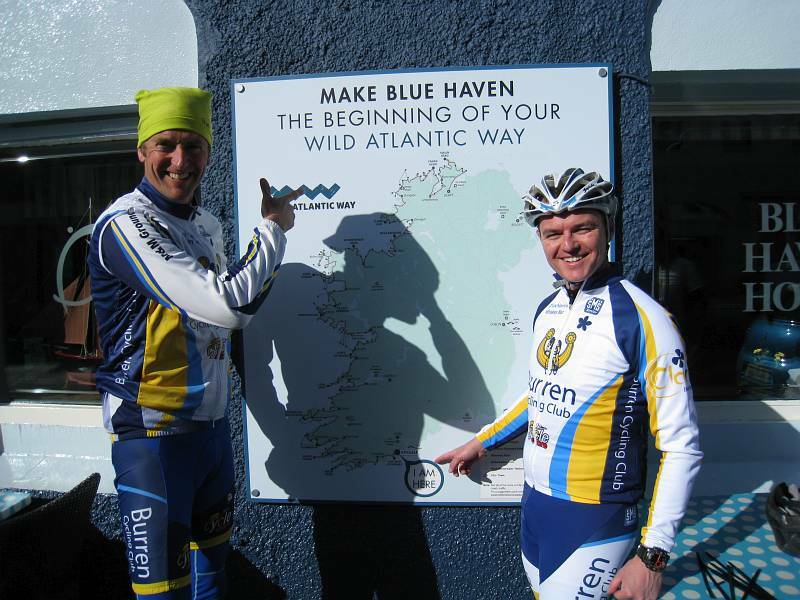 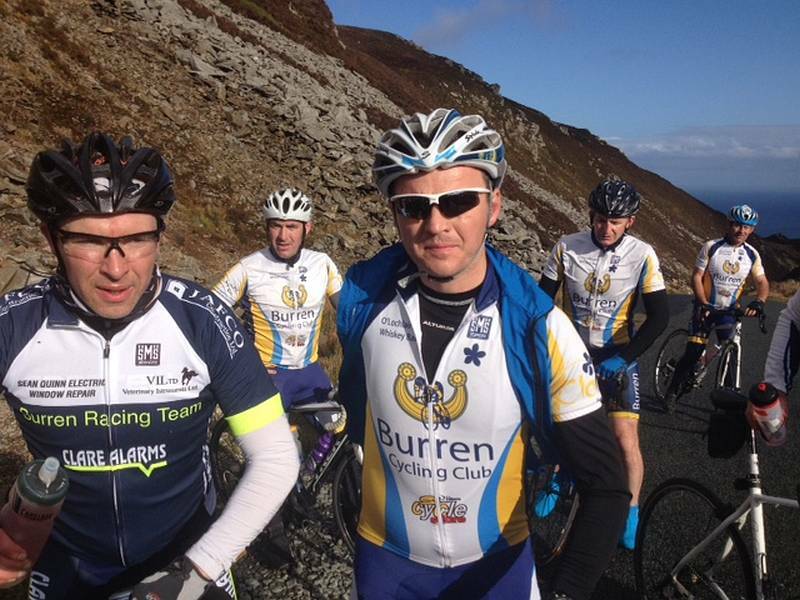 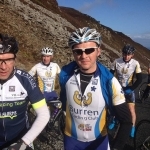 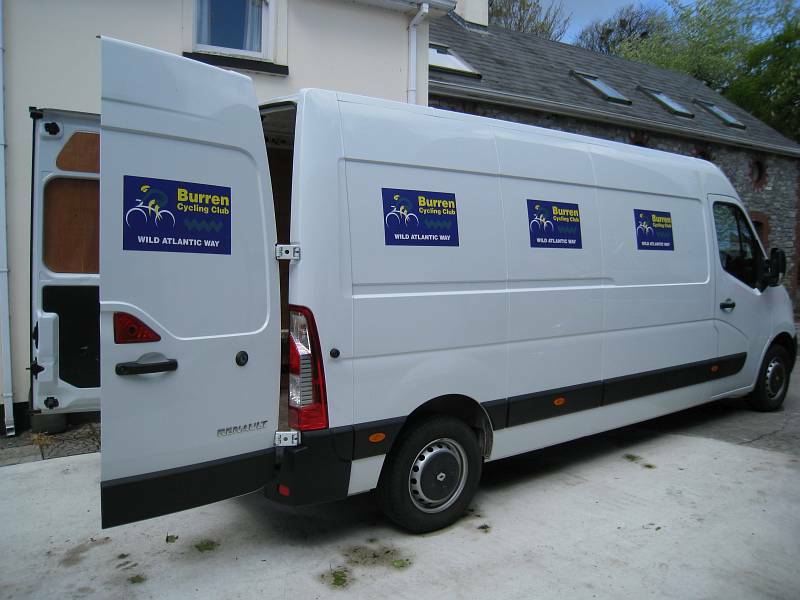 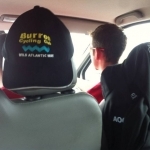 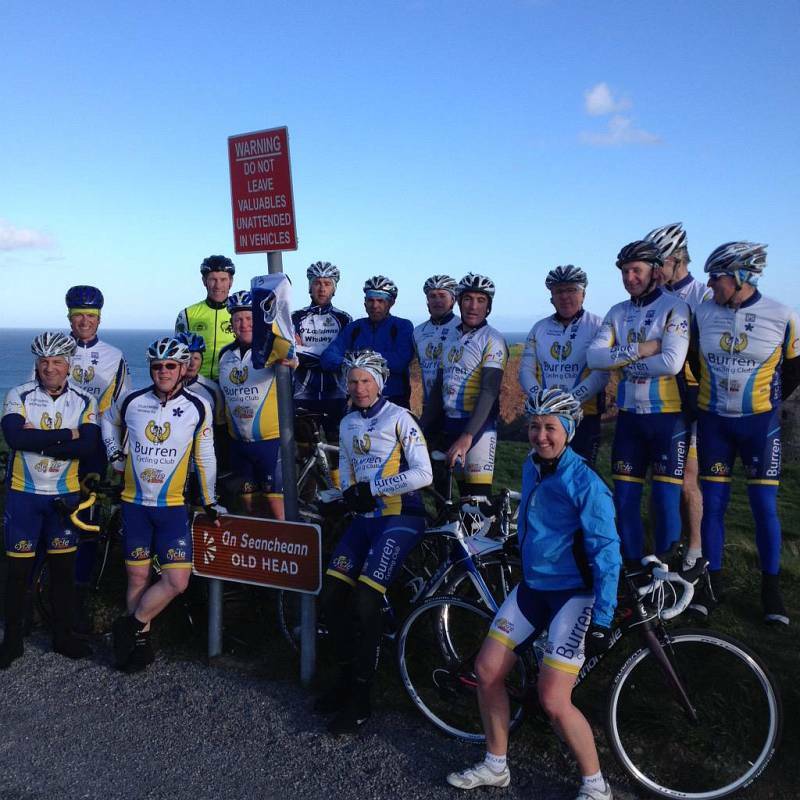 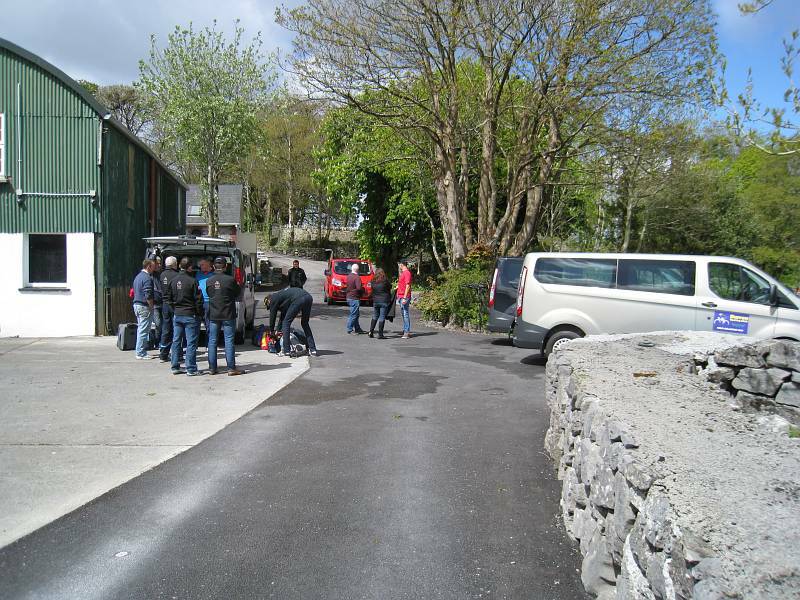 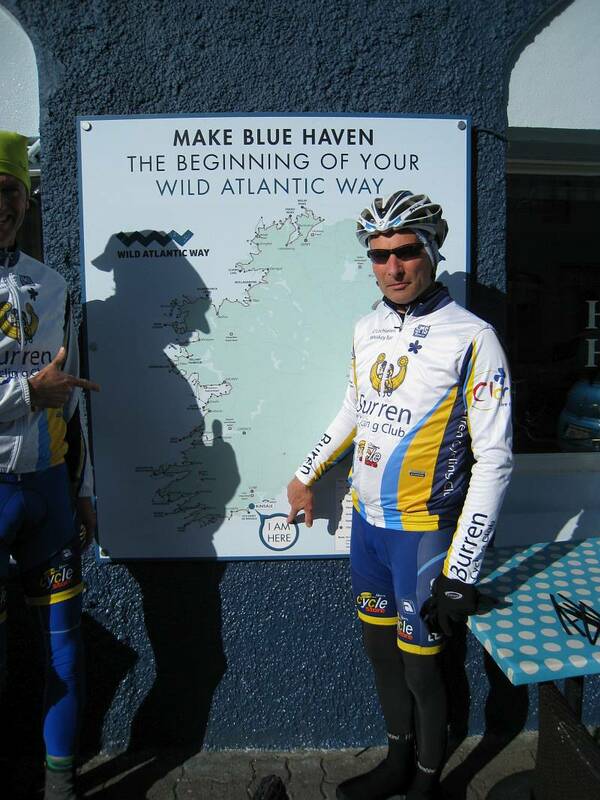 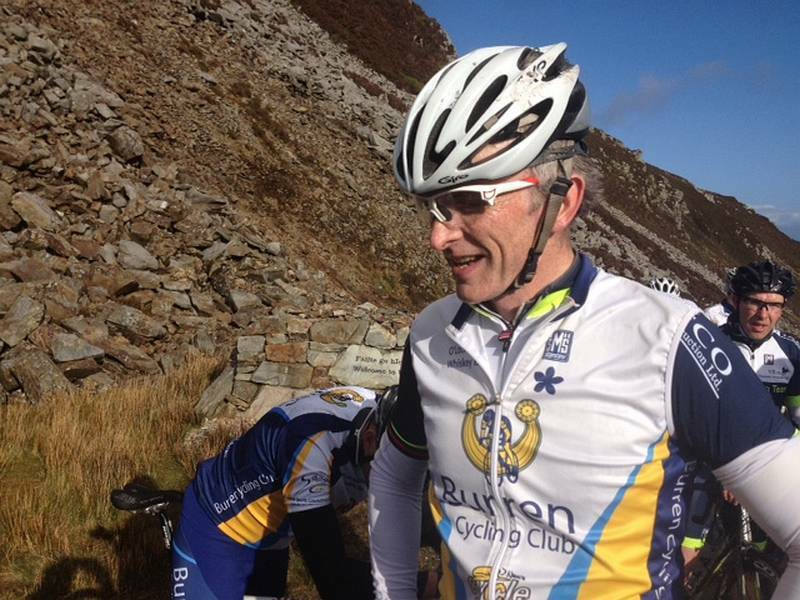 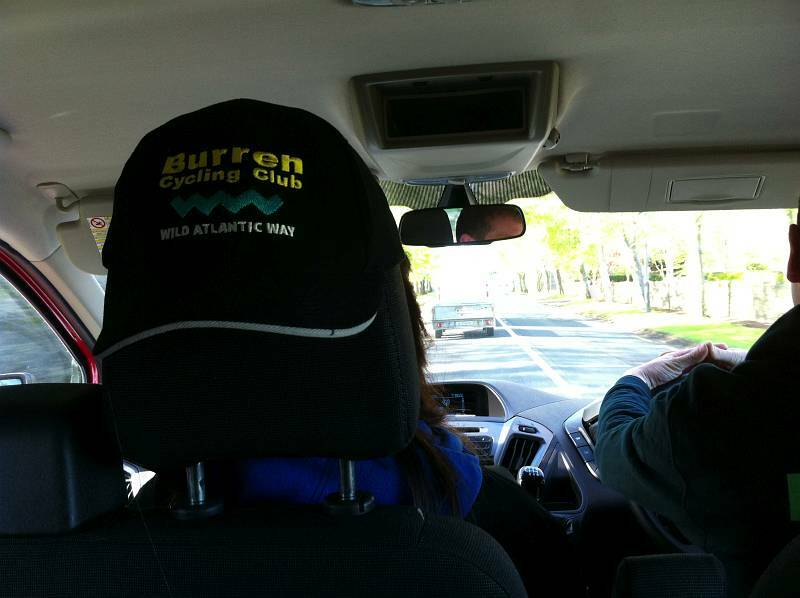 25 members of the Burren Cycling Club (BCC) will cycle the full 2500km of the Wild Atlantic Way over the 2015 May Bank Holiday Weekend. 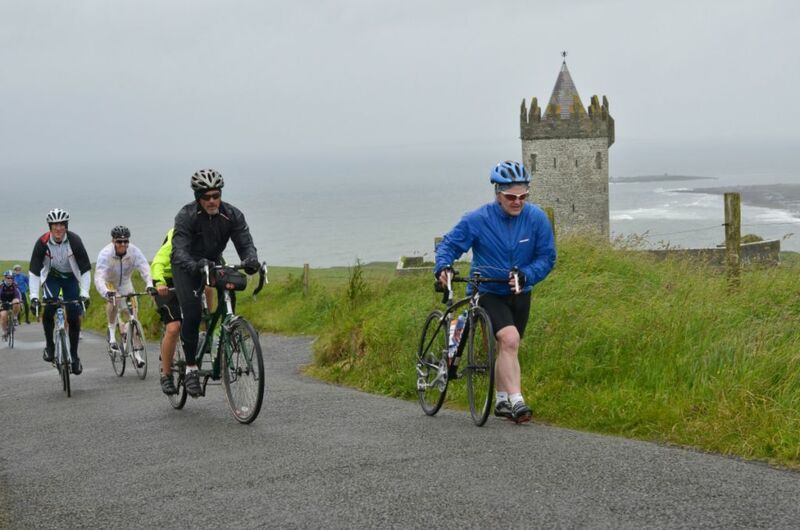 The Wild Atlantic Way is the world’s longest defined coastal tour route, developed by Failte Ireland in 2014. 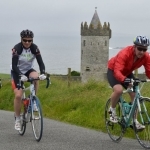 The route takes in 9 counties, 3 provinces, 160 Discovery Points, 25 Islands,150 Hidden Gems and 2500kms as it snakes it’s way between land and sea, connecting Kinsale and Derry. 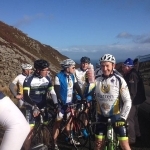 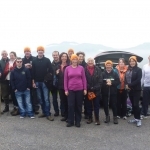 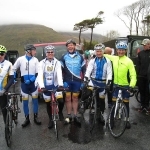 Starting on Thursday 30th April in Kinsale, Day 1 brings the club up the inlets and around the peninsulas of Cork before taking the Ring of Kerry to Tralee. 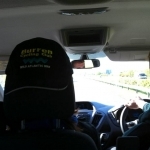 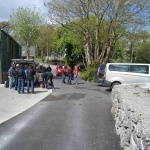 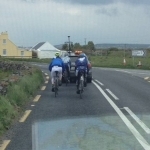 After a brief excursion around Slea Head, Day 2 has the Club members homeward bound as they cross the Shannon to Co Clare. 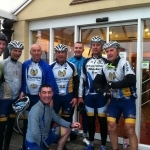 Day 3 starts on Saturday 2nd from Galway City. 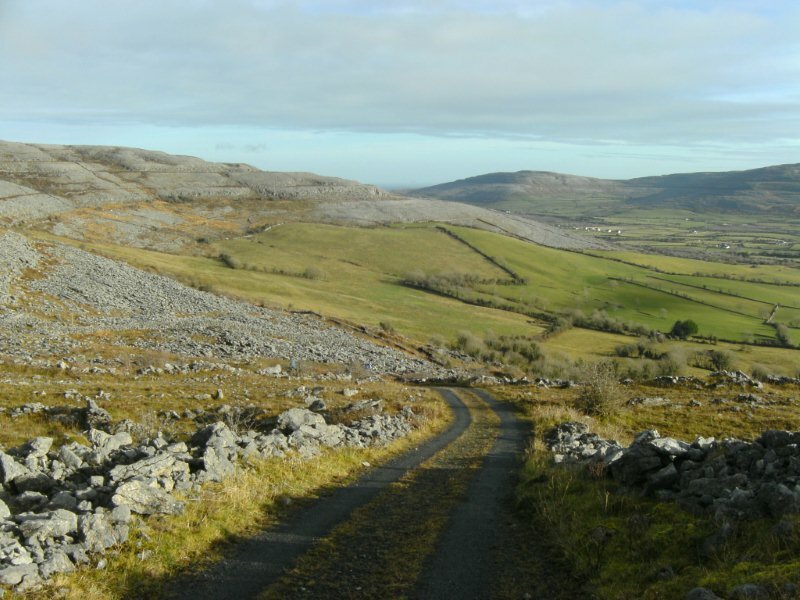 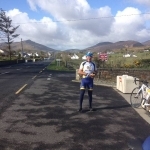 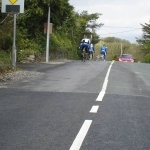 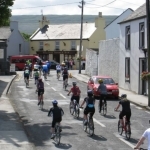 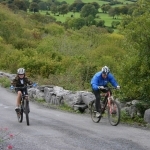 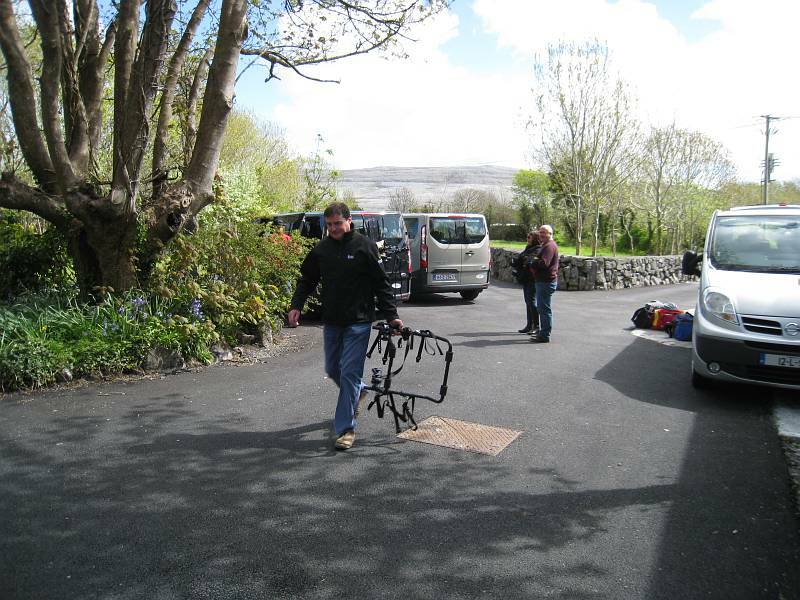 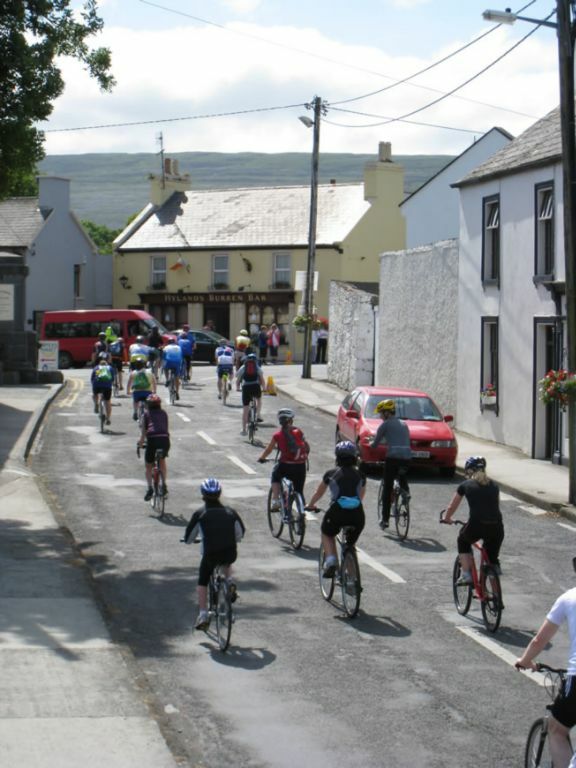 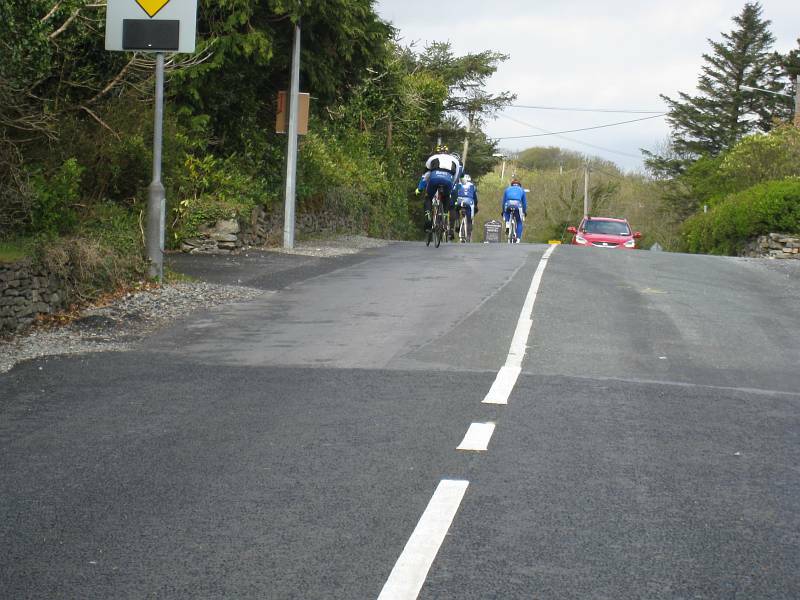 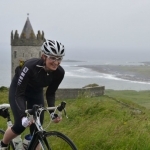 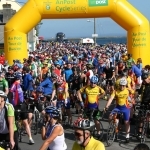 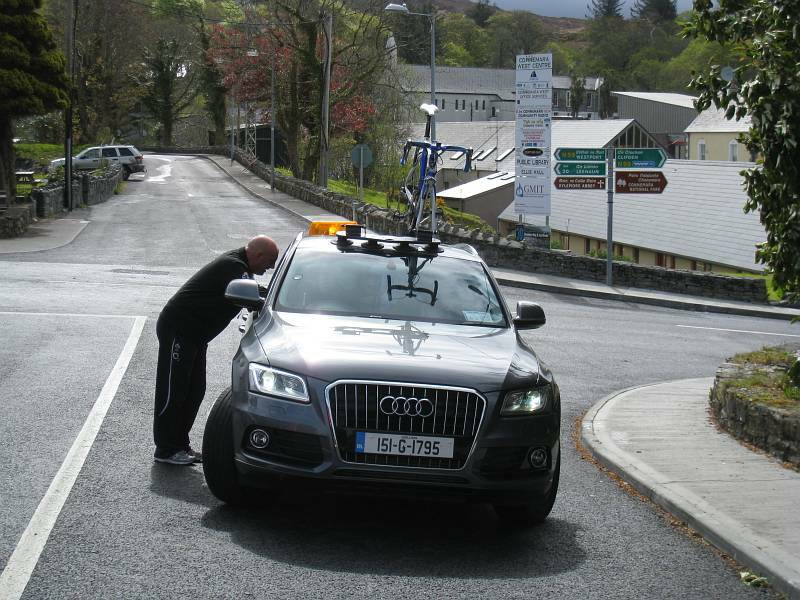 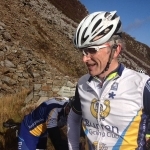 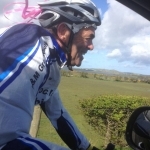 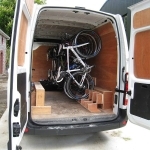 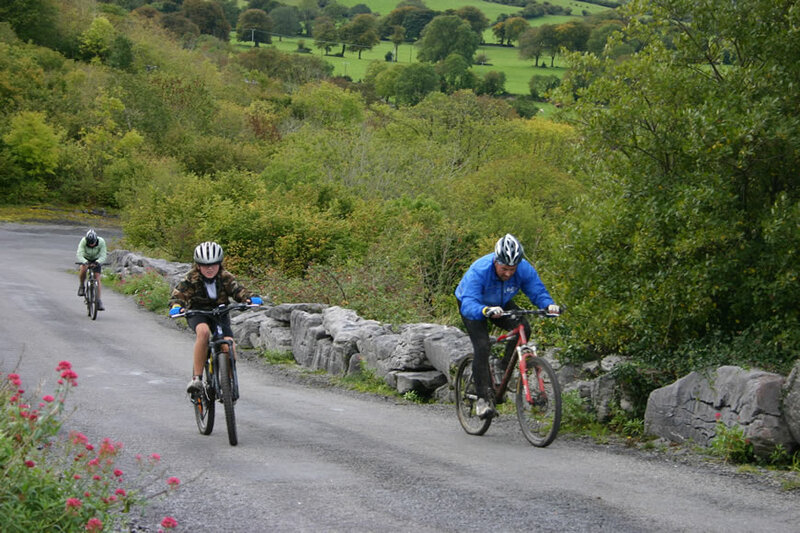 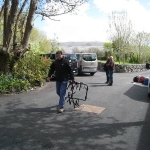 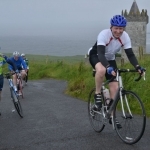 From here the cyclists will sweep the edges of two of Ireland’s largest Counties, Galway and Mayo taking in Connemara, Killary, Croke Patrick, Westport on the way to Ballina. 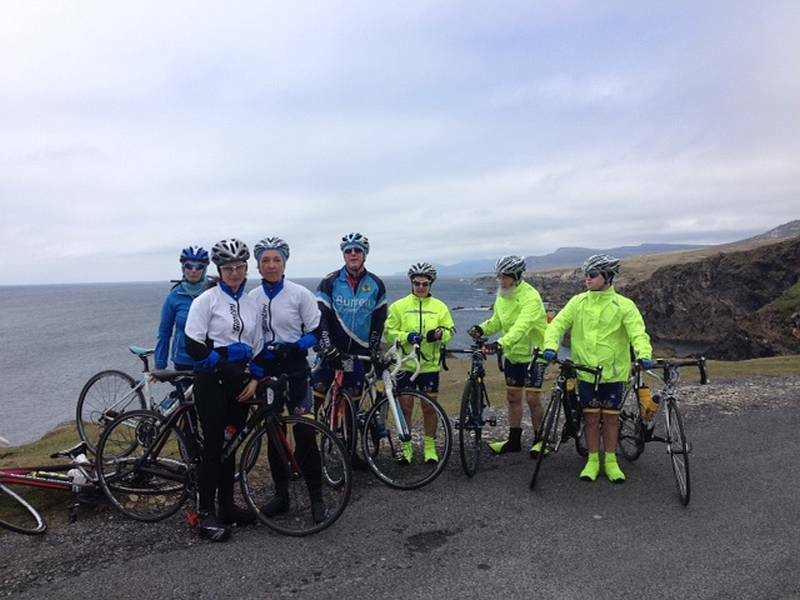 And making sure we don’t miss any of the route, one group of riders will cycle both Achill Island and the Belmullet/Blacksod Bay peninsula. 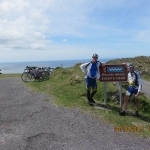 Day 4 – Leaving Mayo and through Sligo, it’s a brief visit to Co Leitrim’s 11kms of coastline before taking on the main business of the day, spectacular Co Donegal. 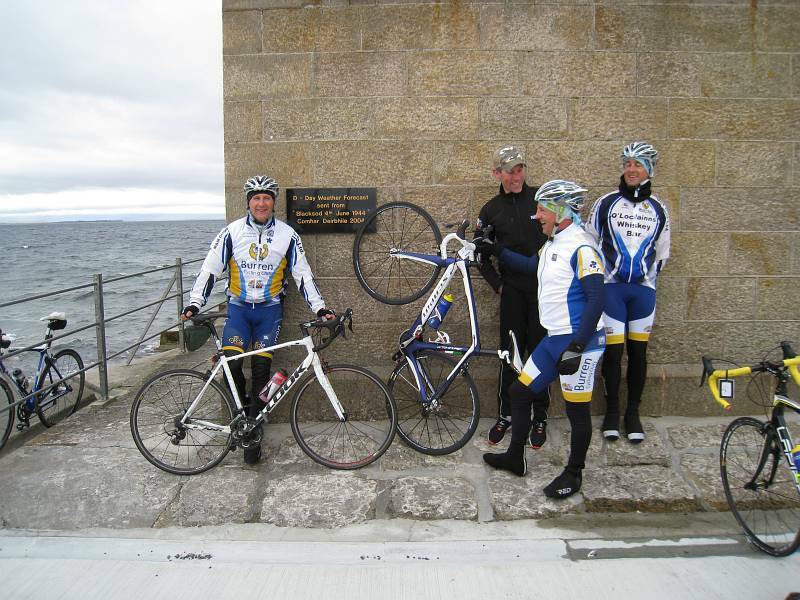 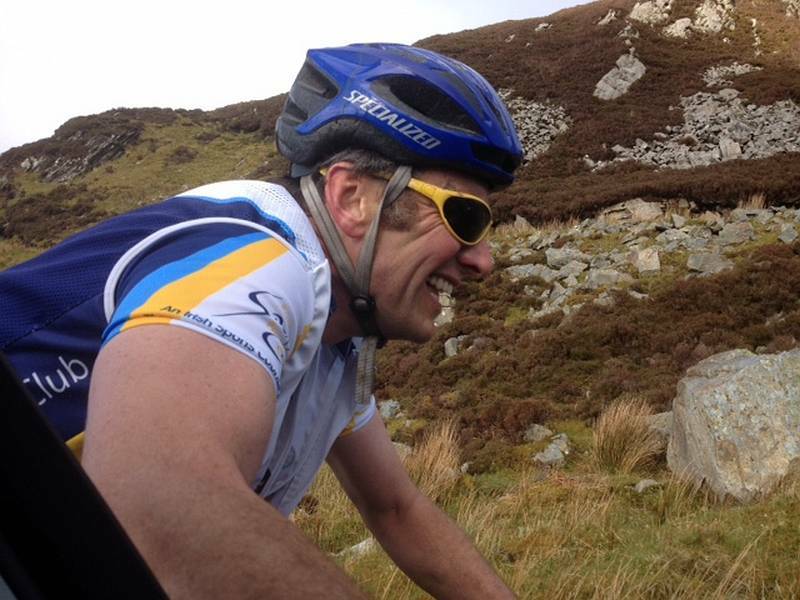 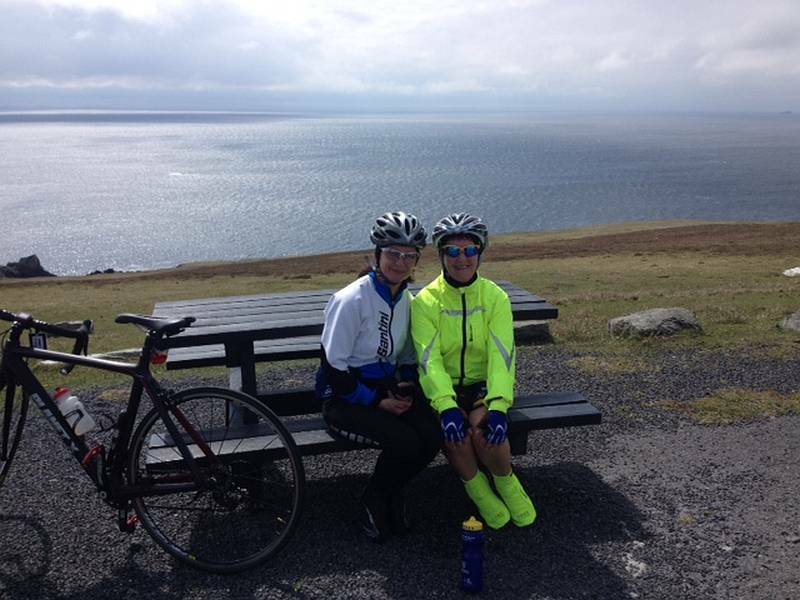 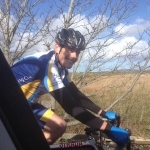 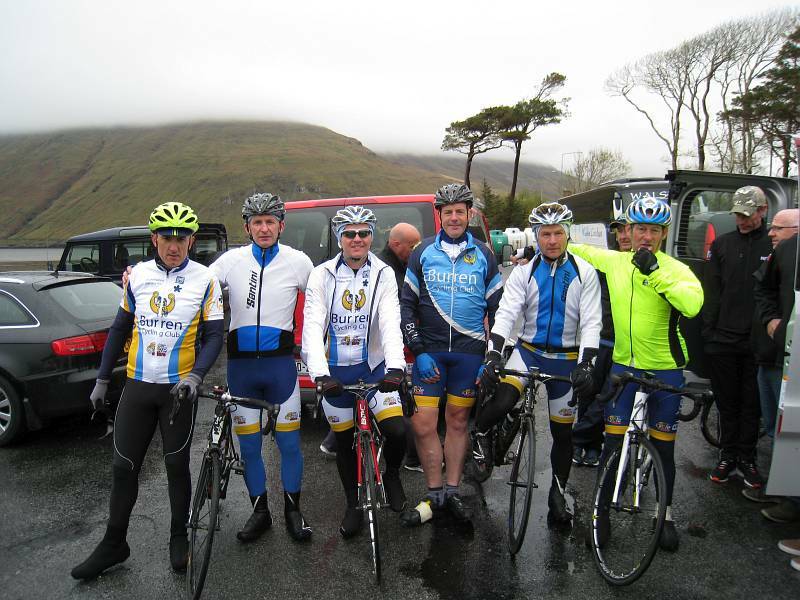 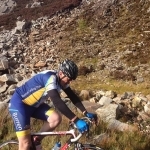 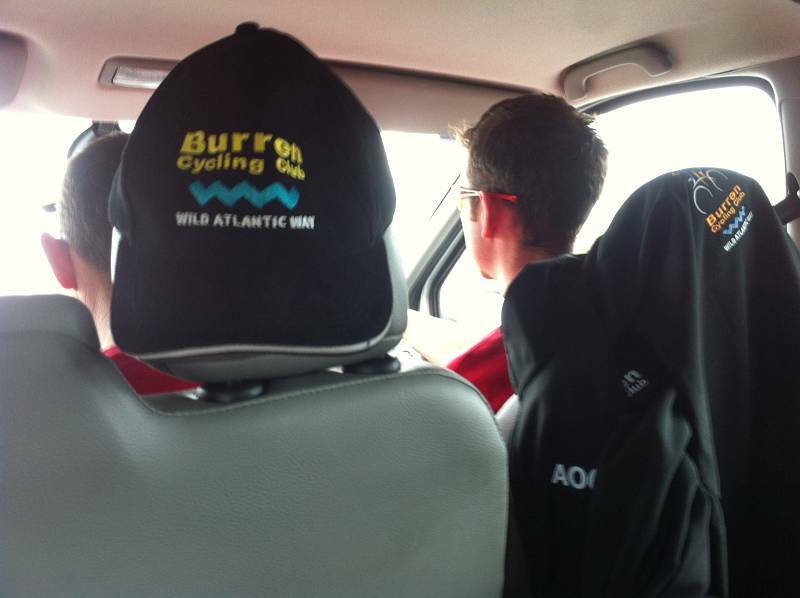 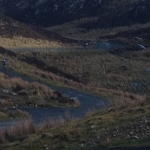 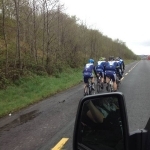 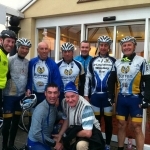 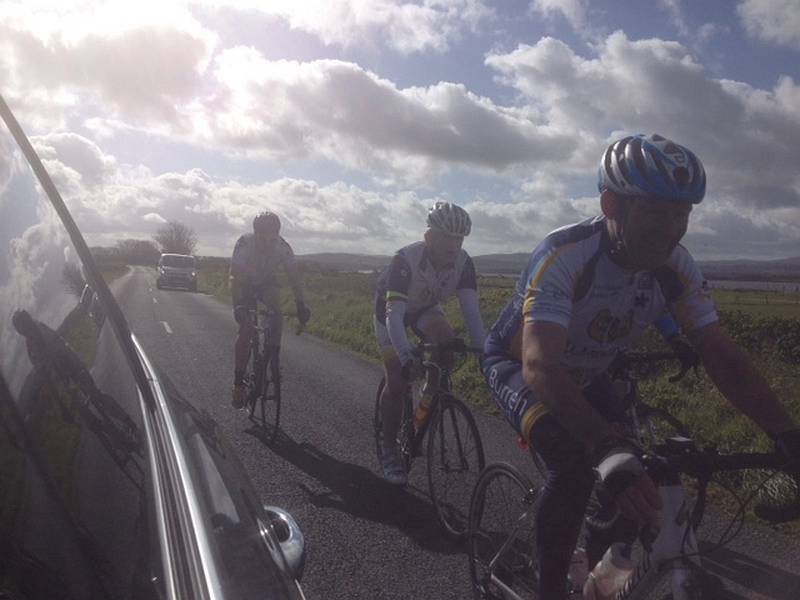 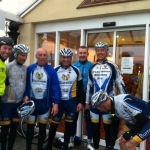 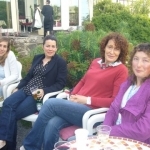 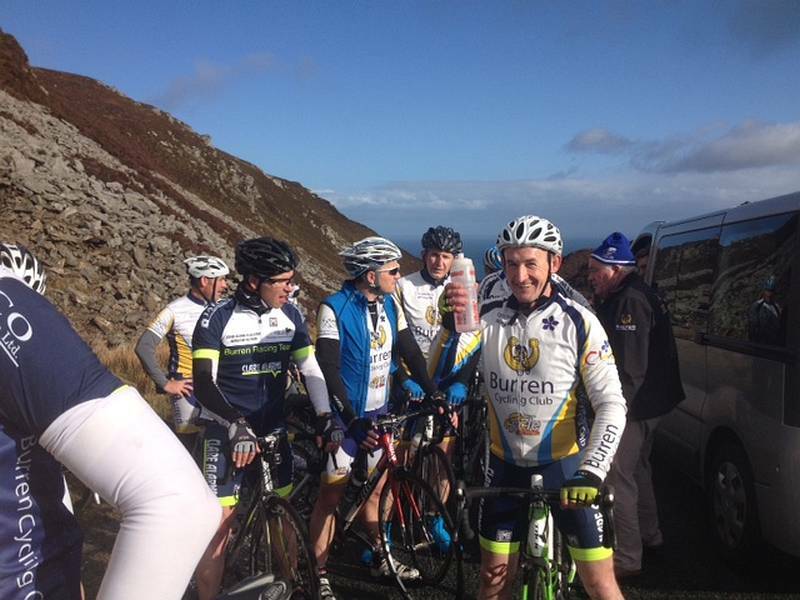 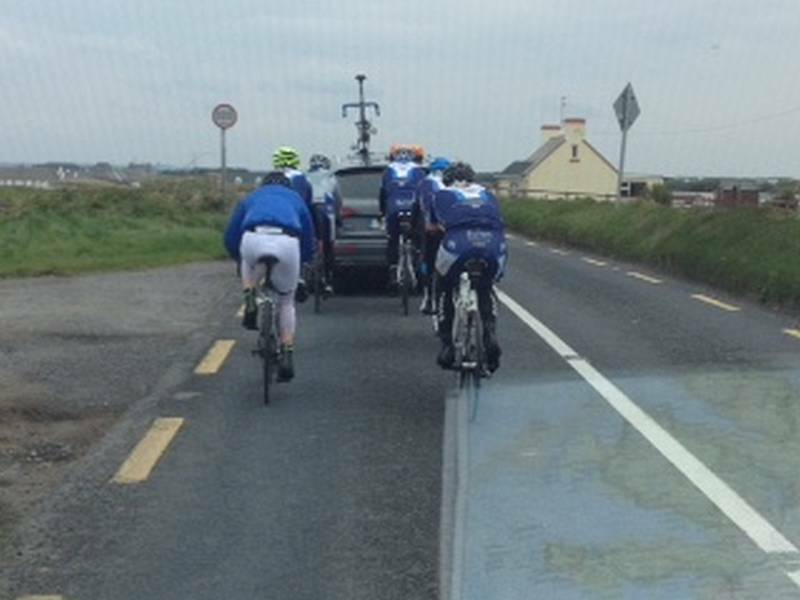 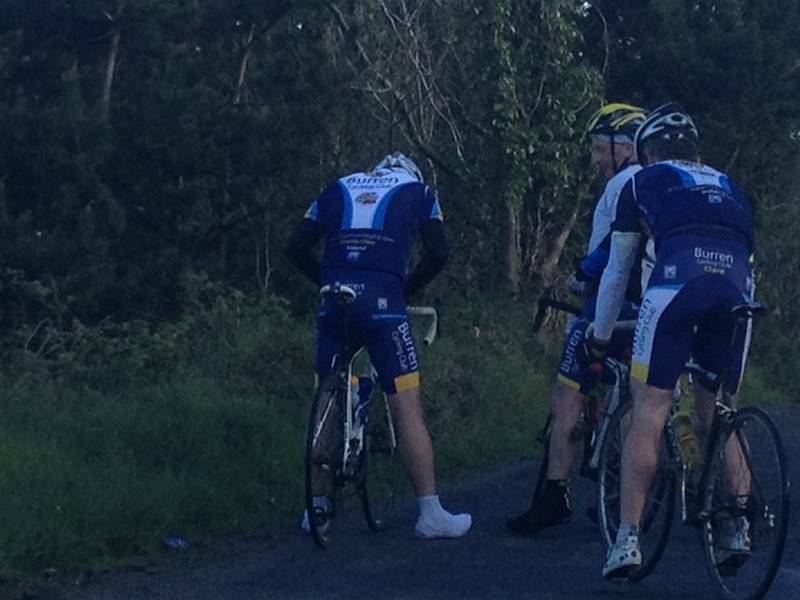 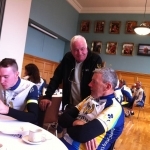 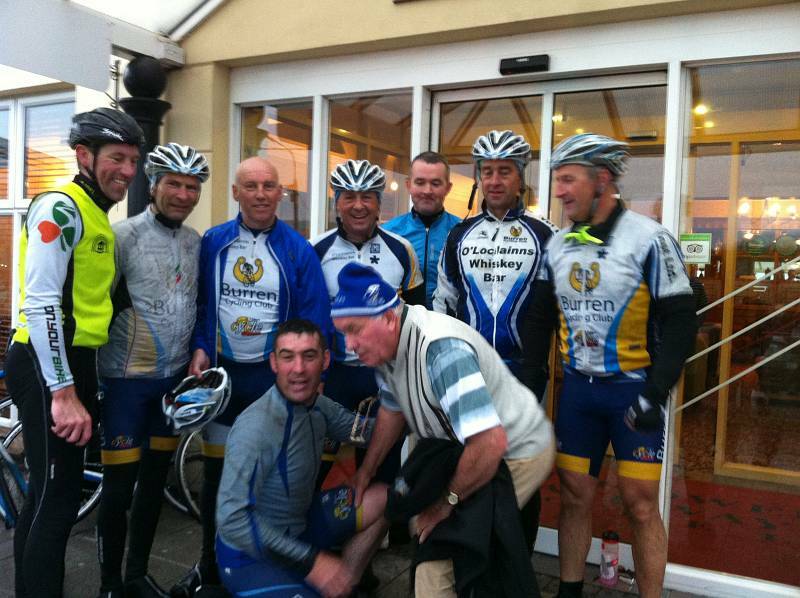 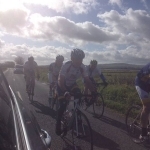 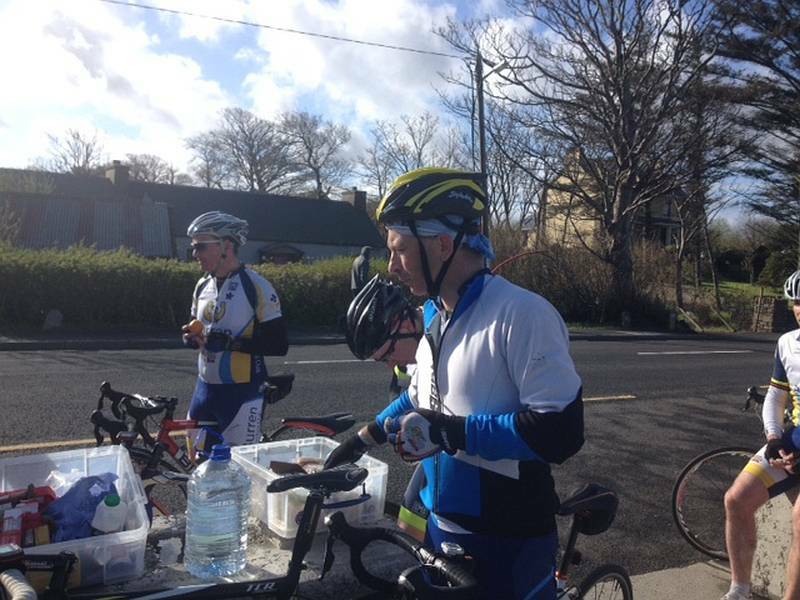 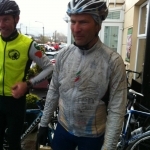 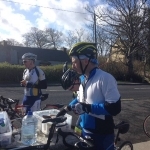 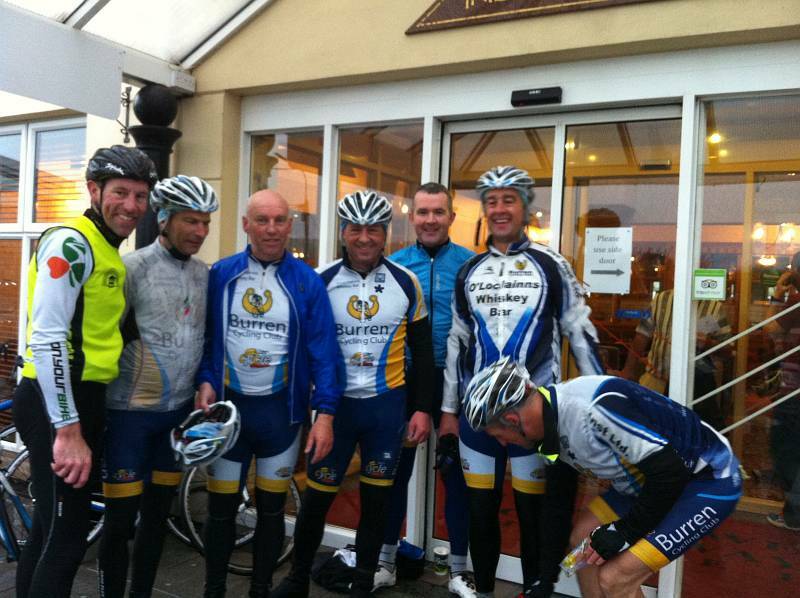 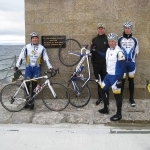 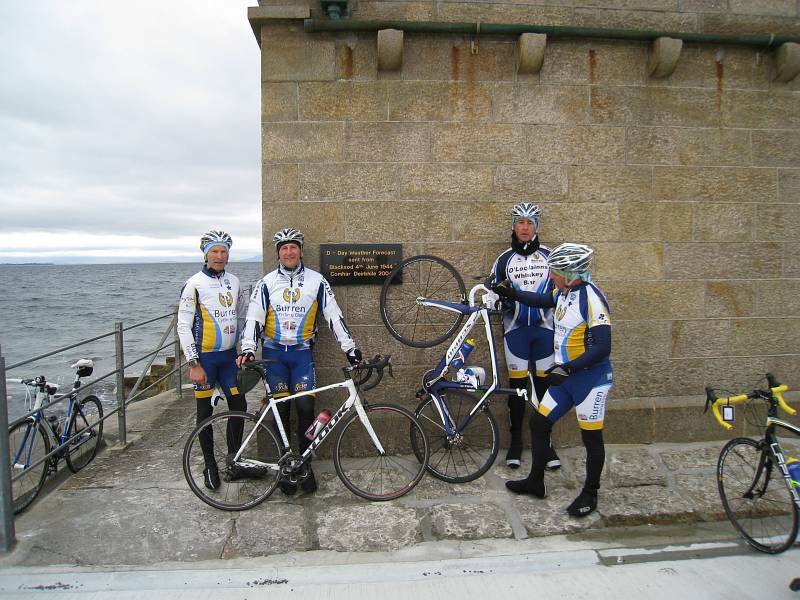 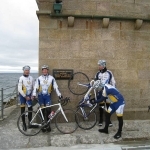 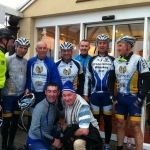 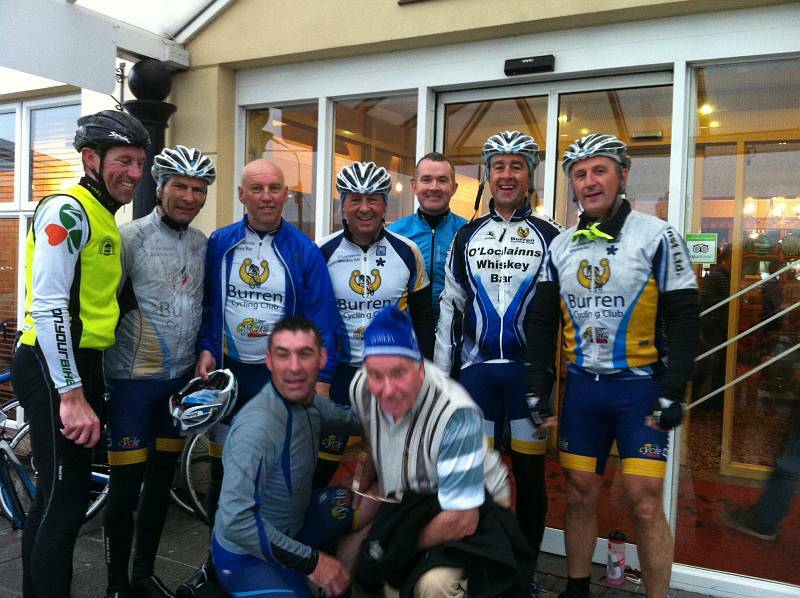 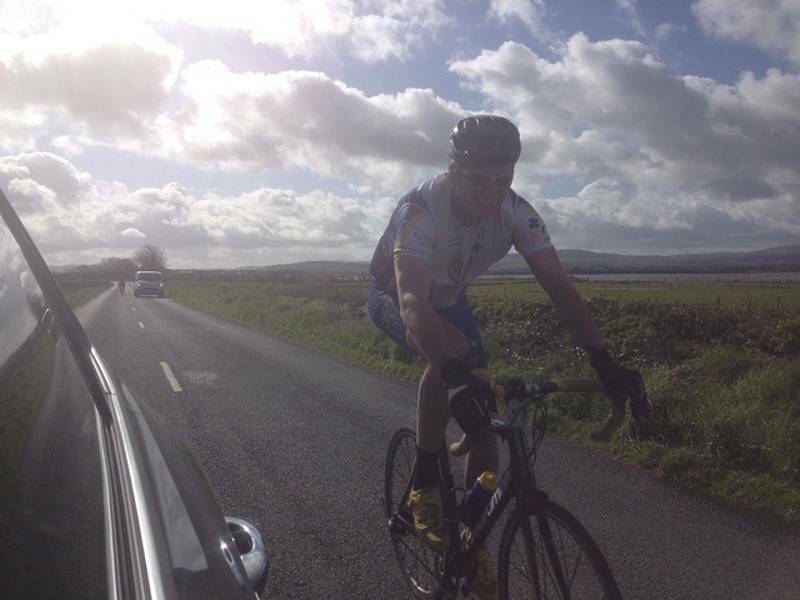 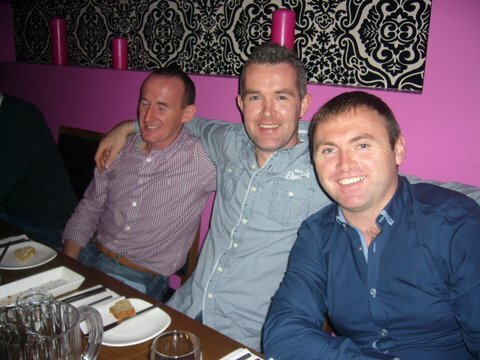 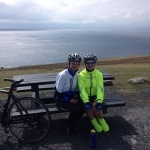 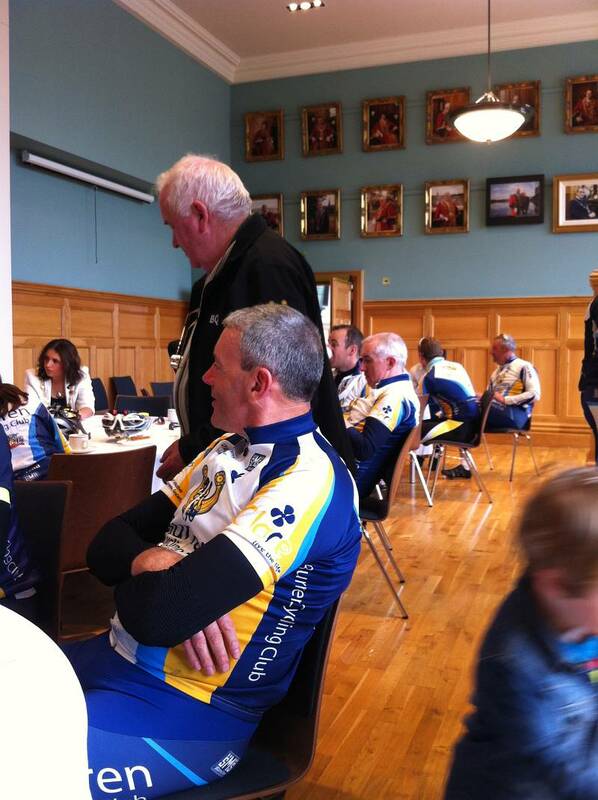 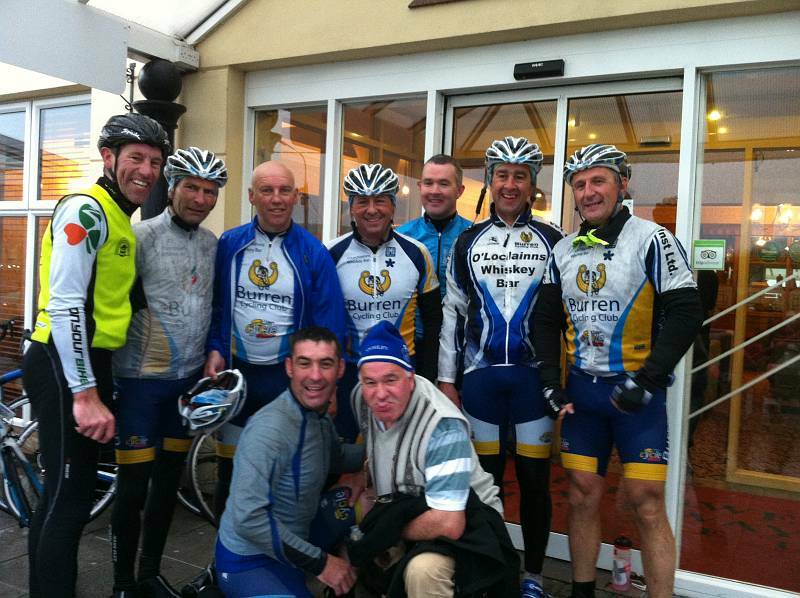 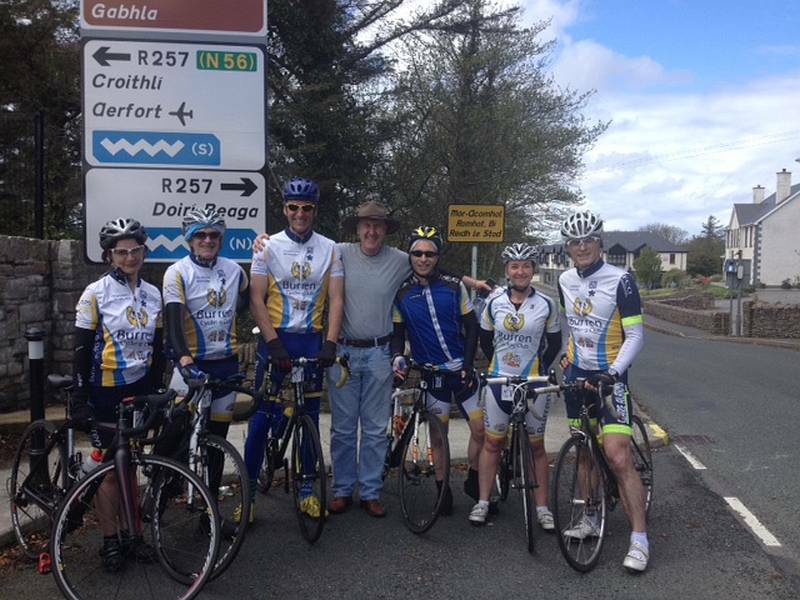 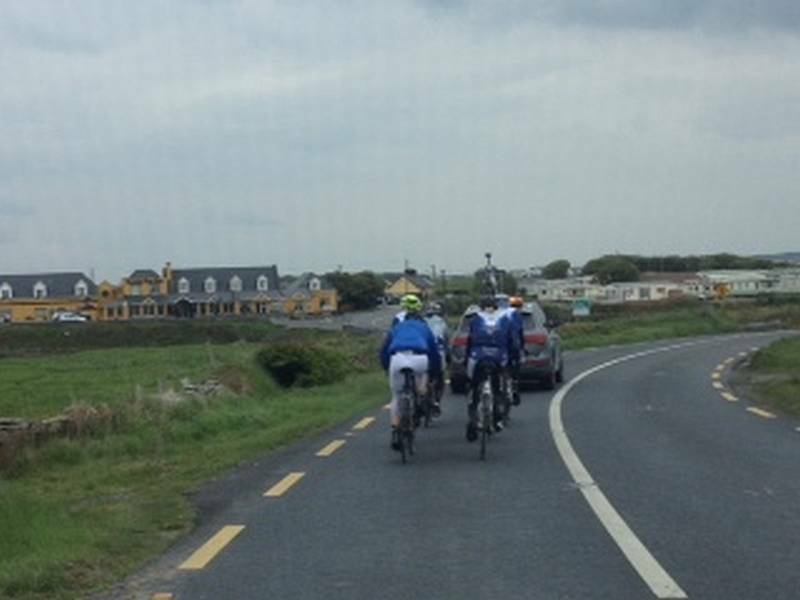 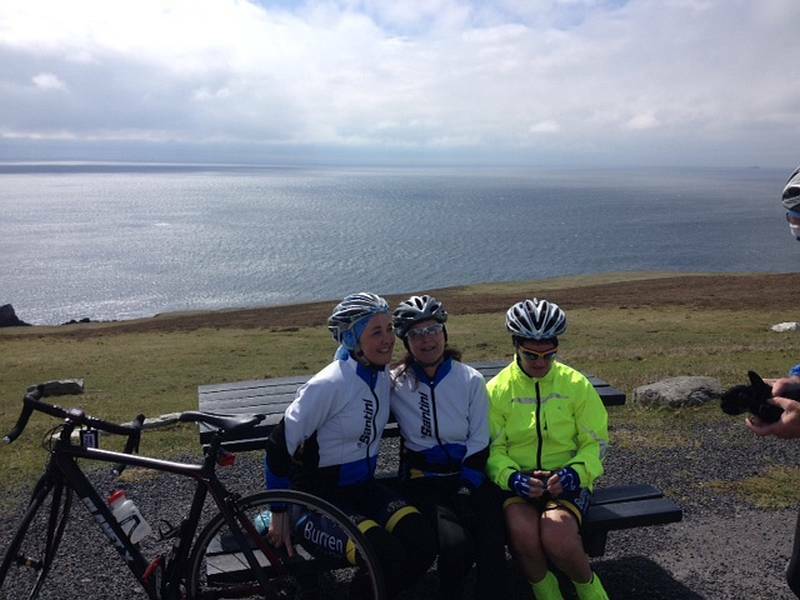 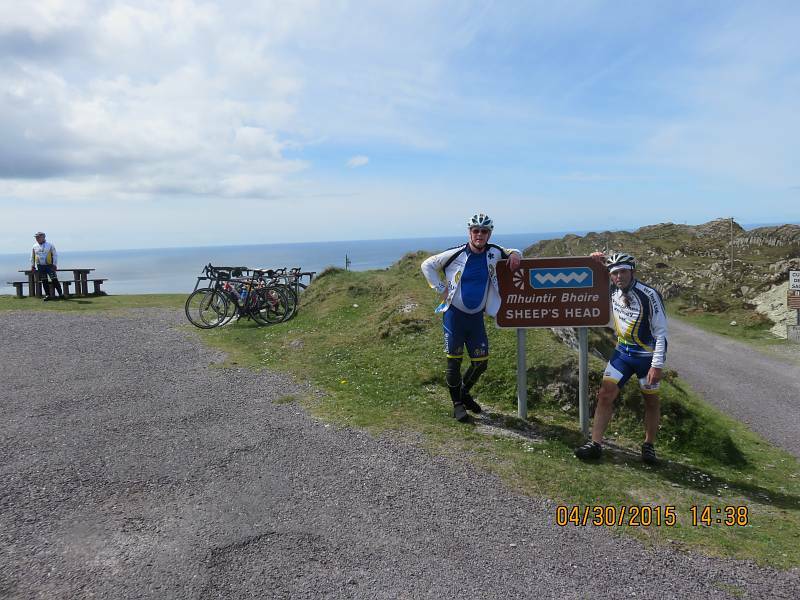 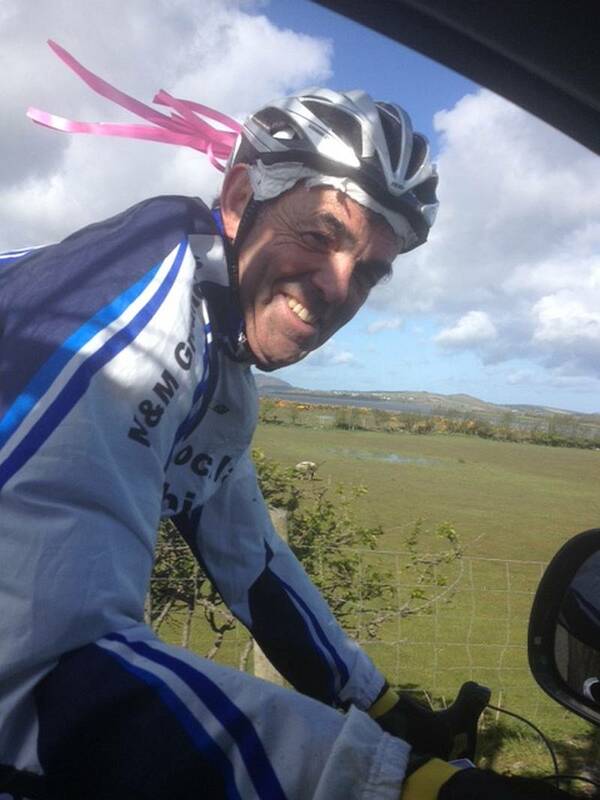 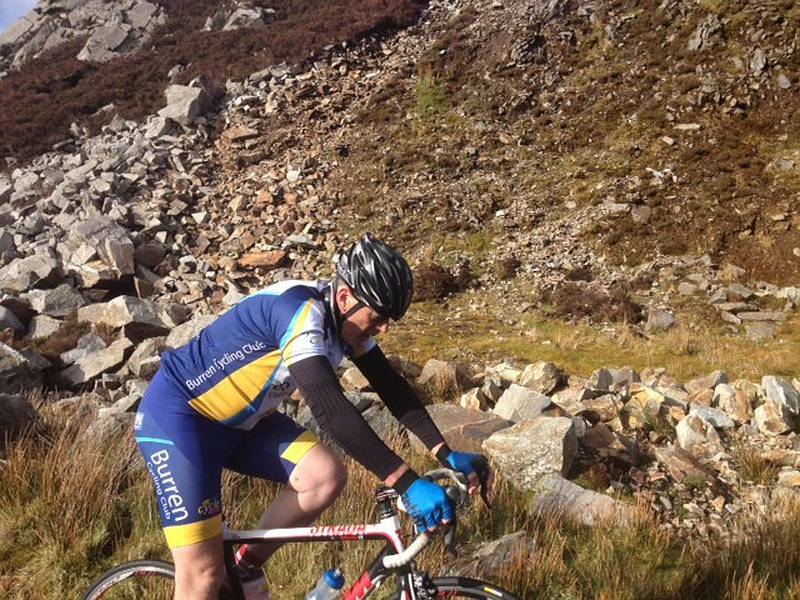 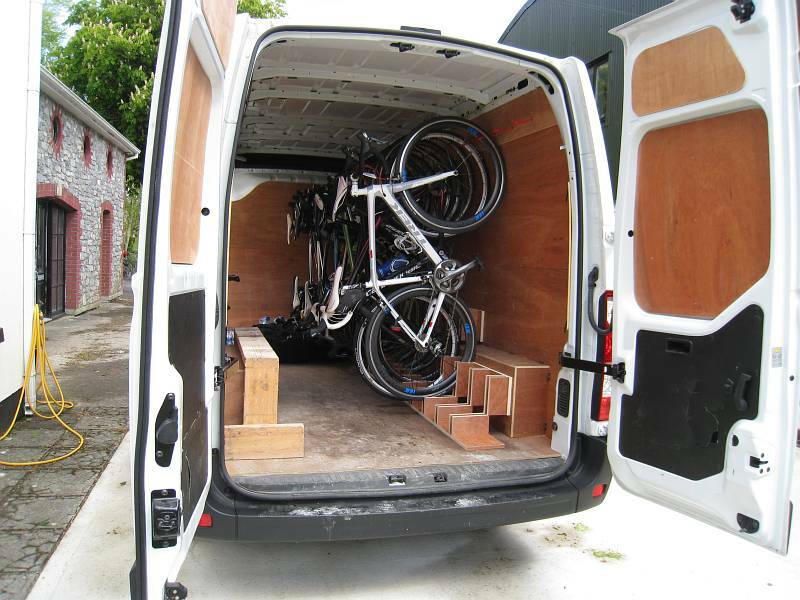 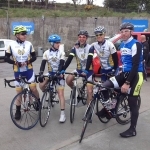 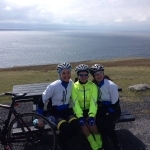 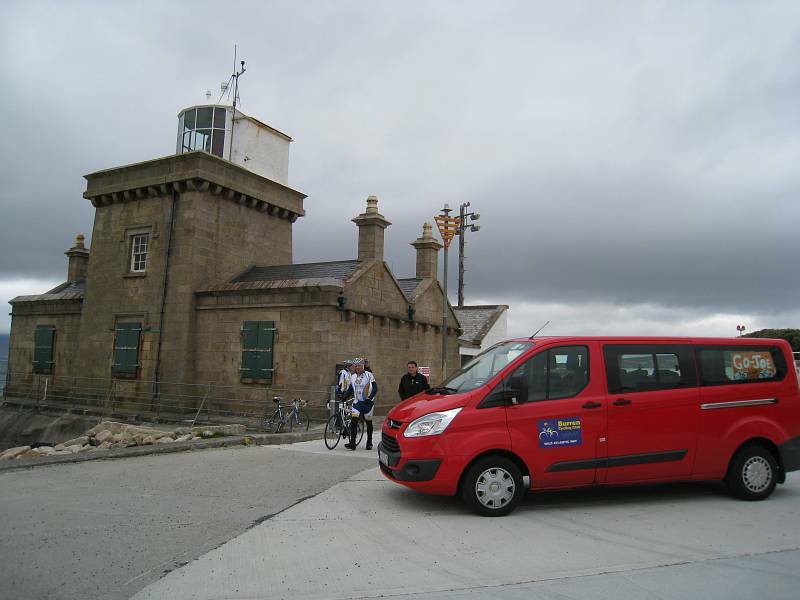 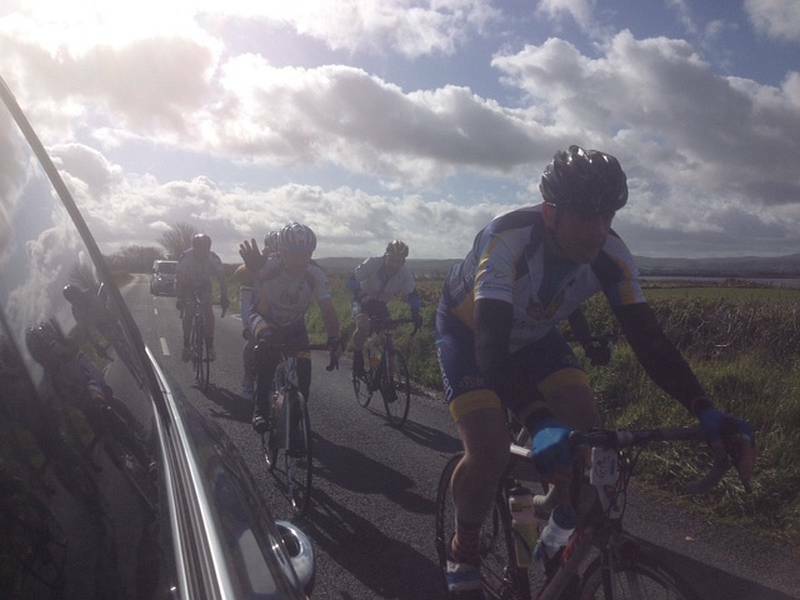 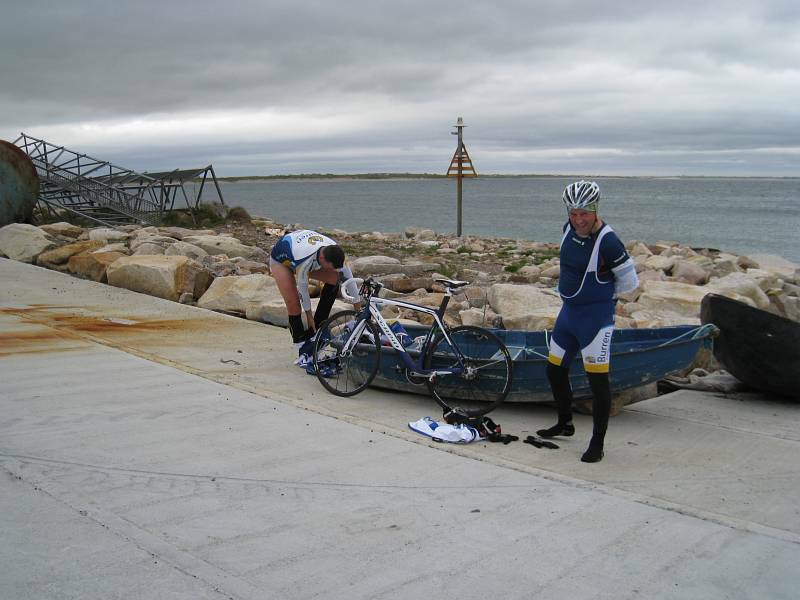 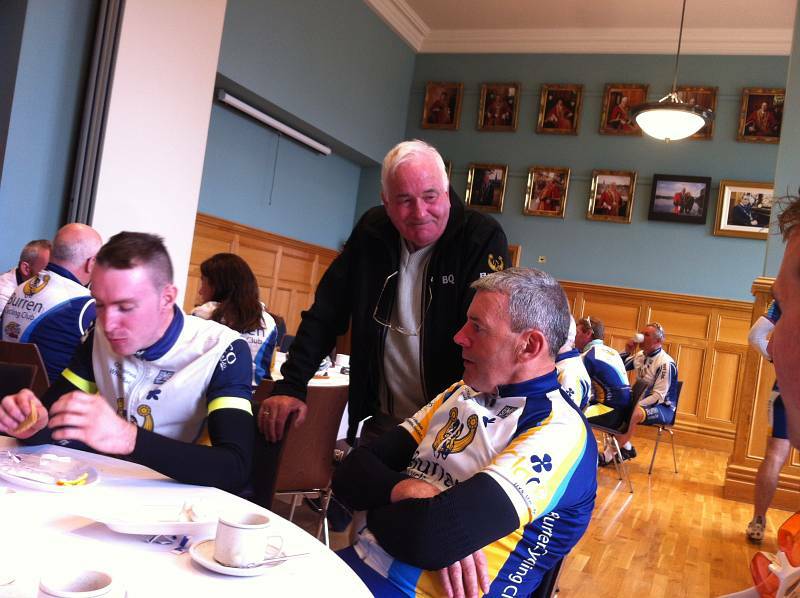 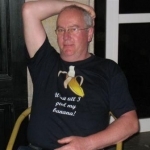 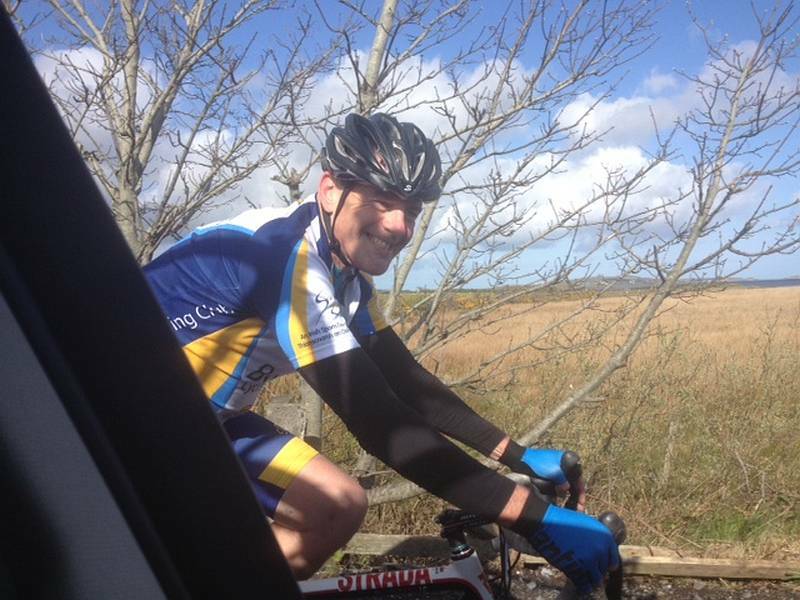 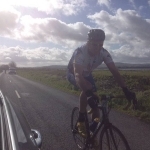 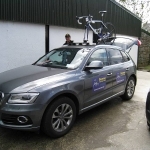 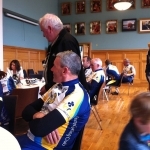 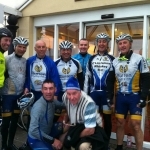 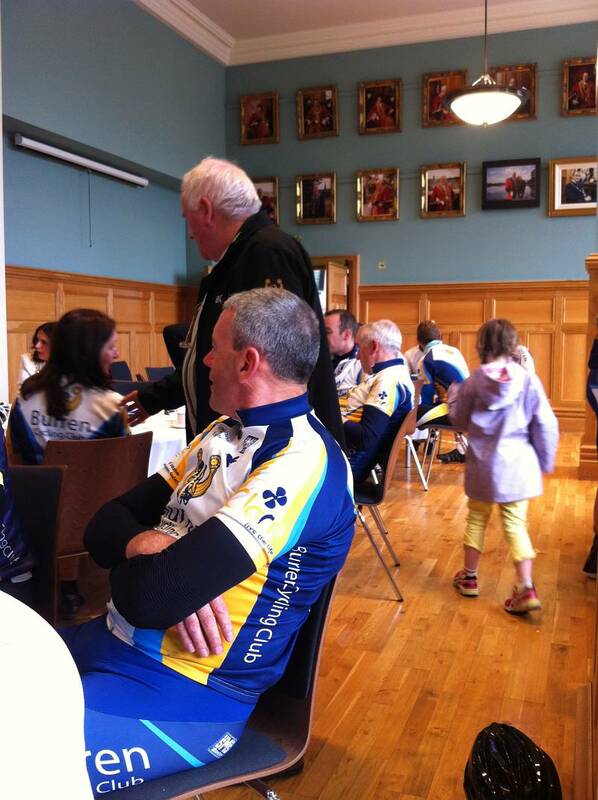 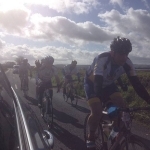 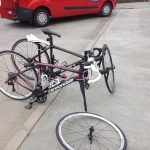 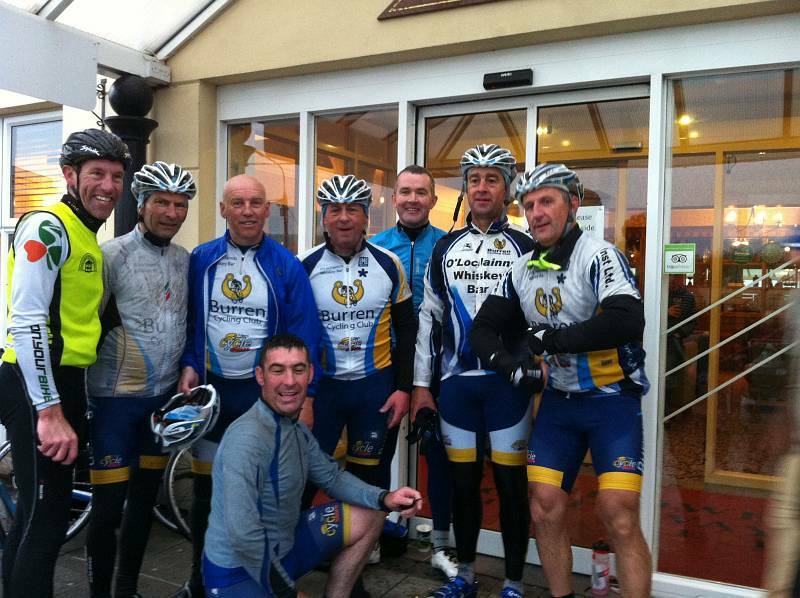 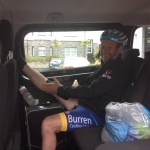 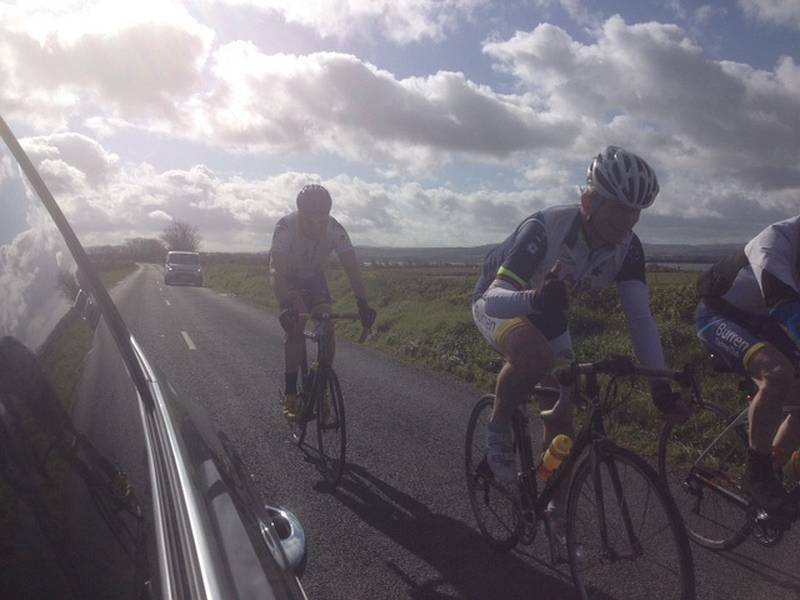 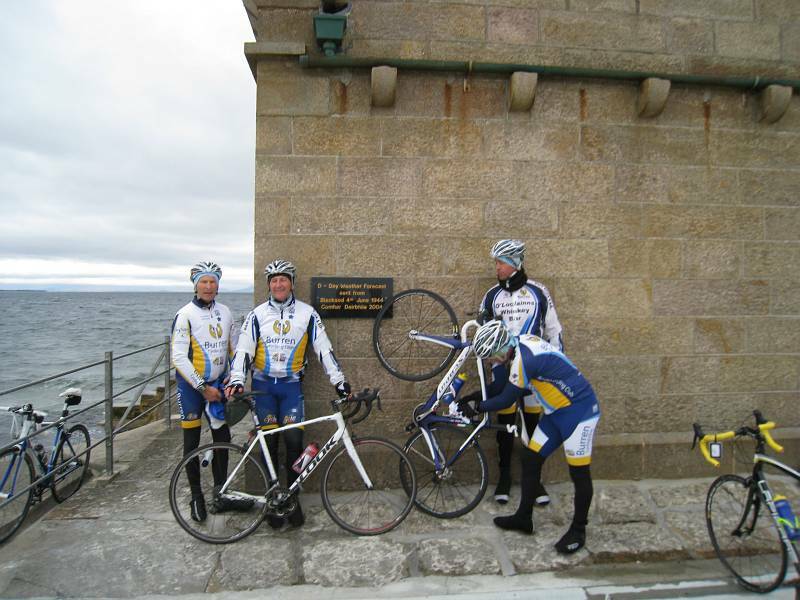 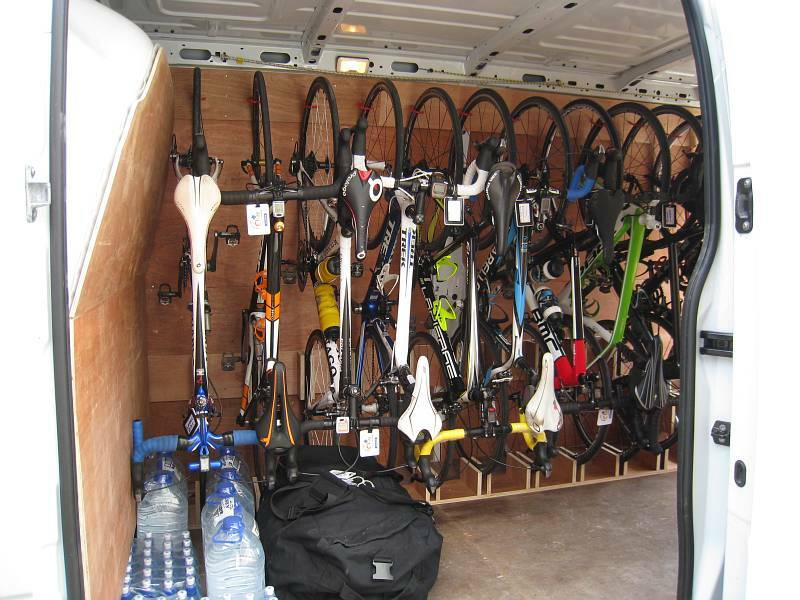 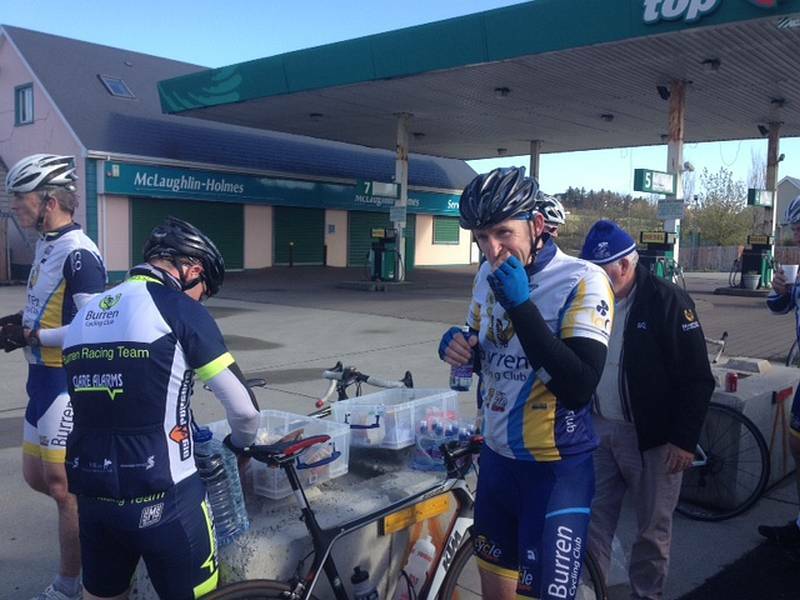 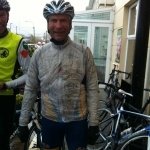 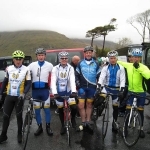 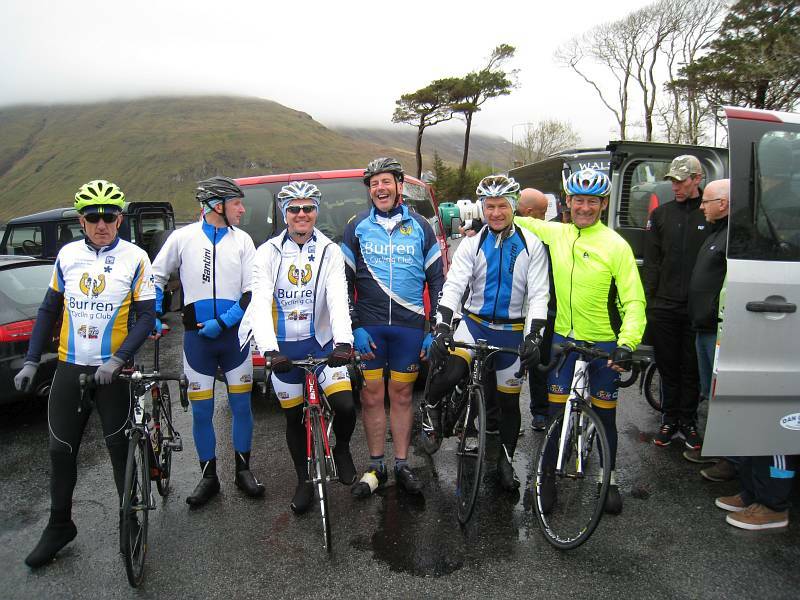 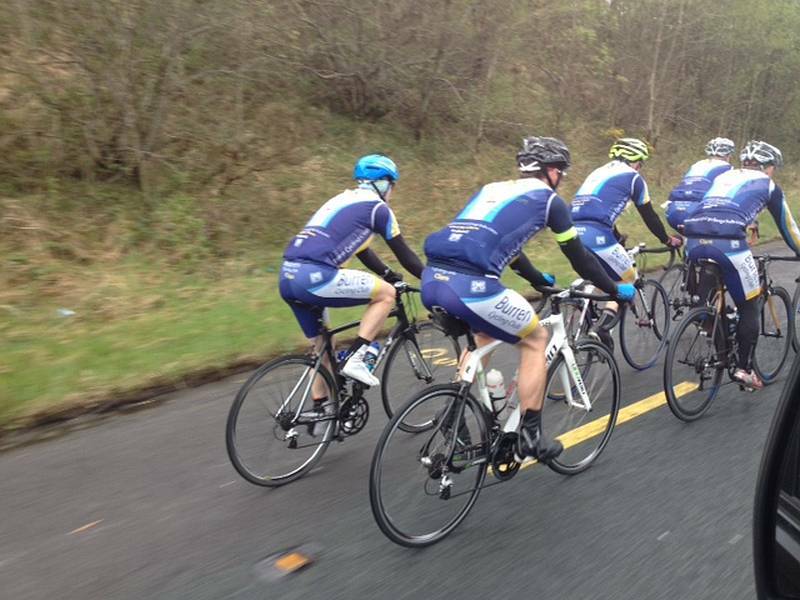 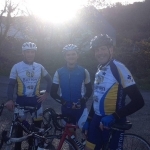 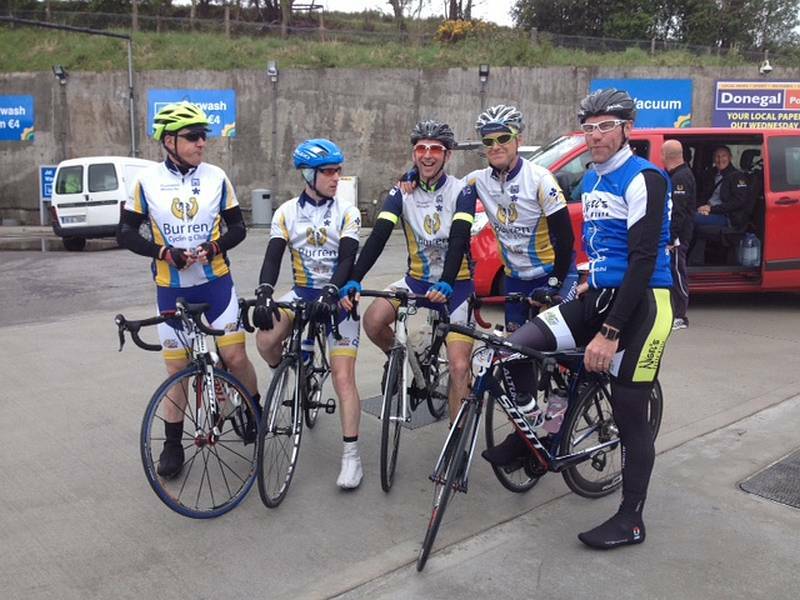 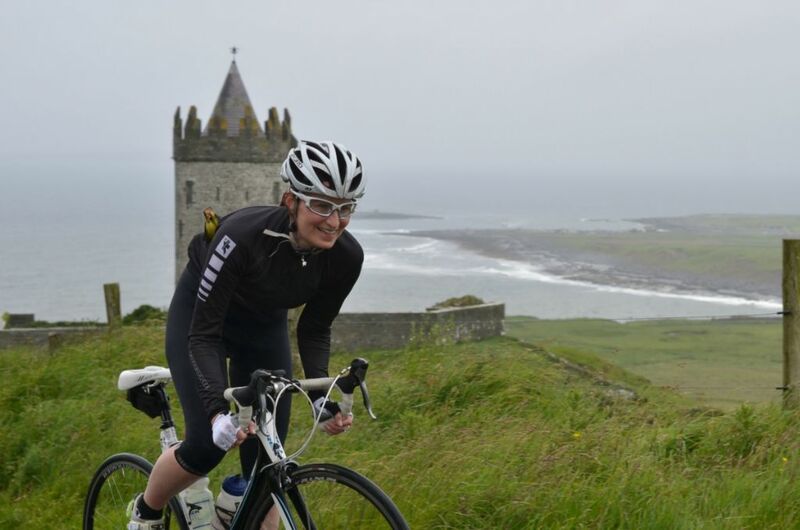 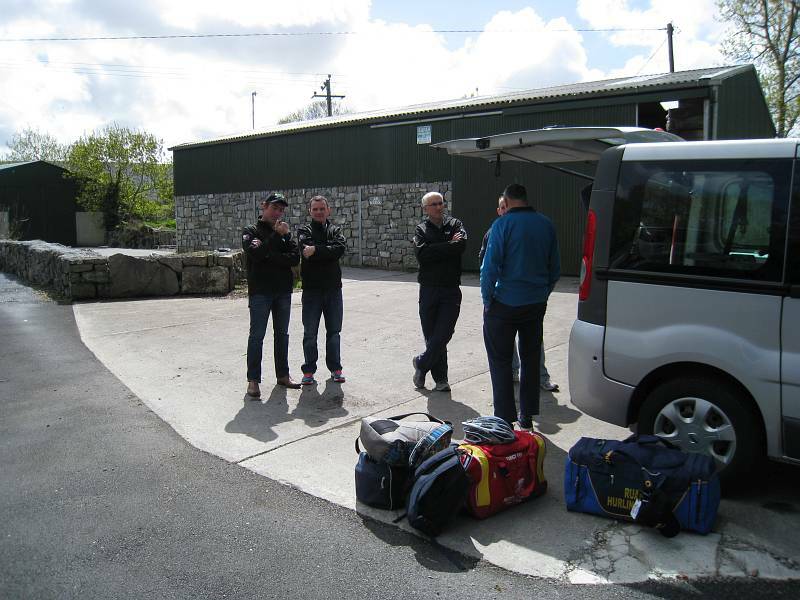 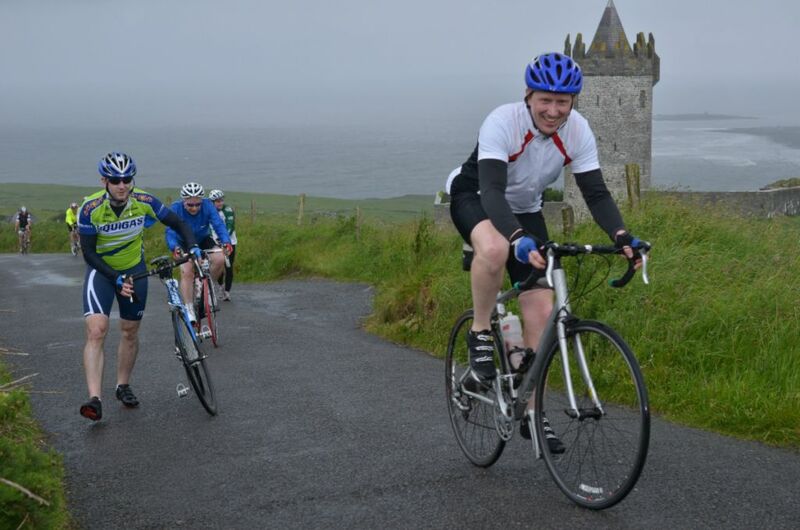 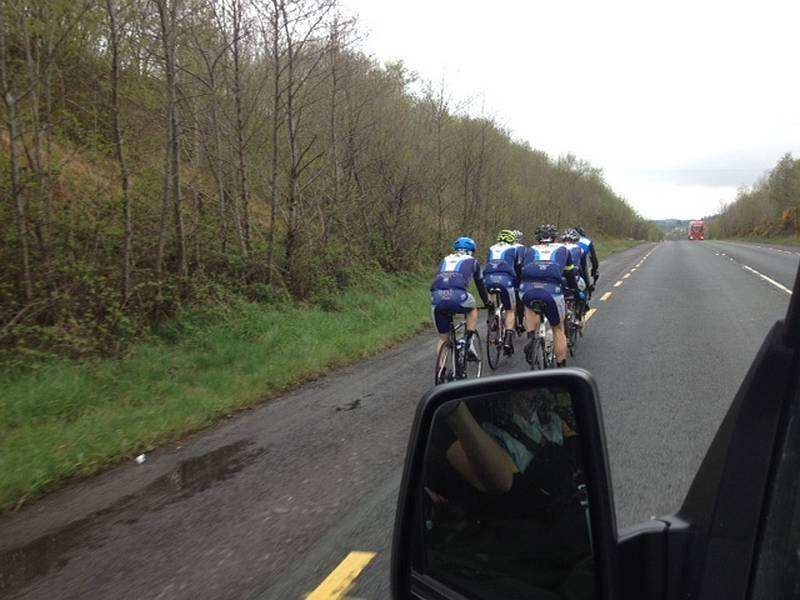 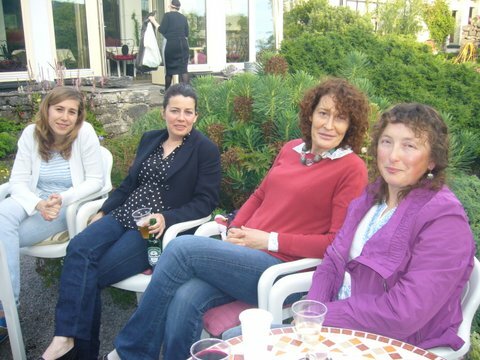 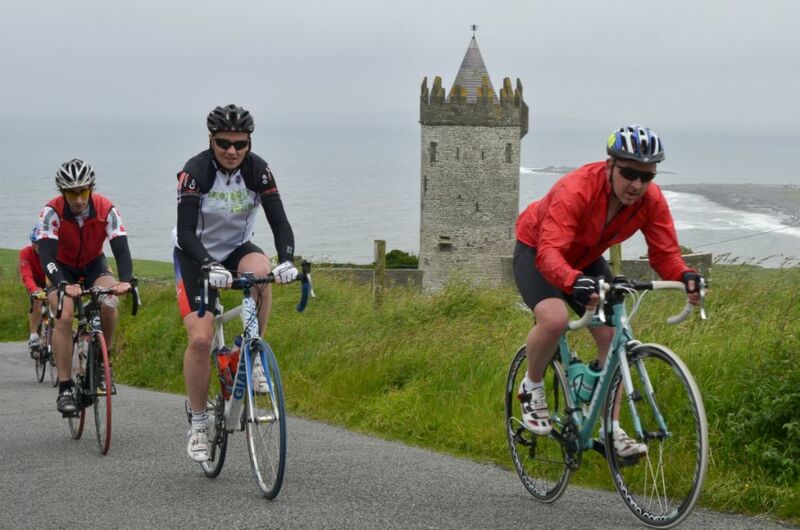 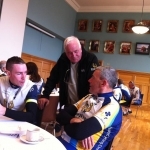 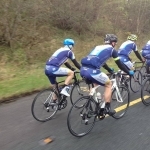 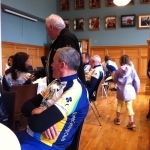 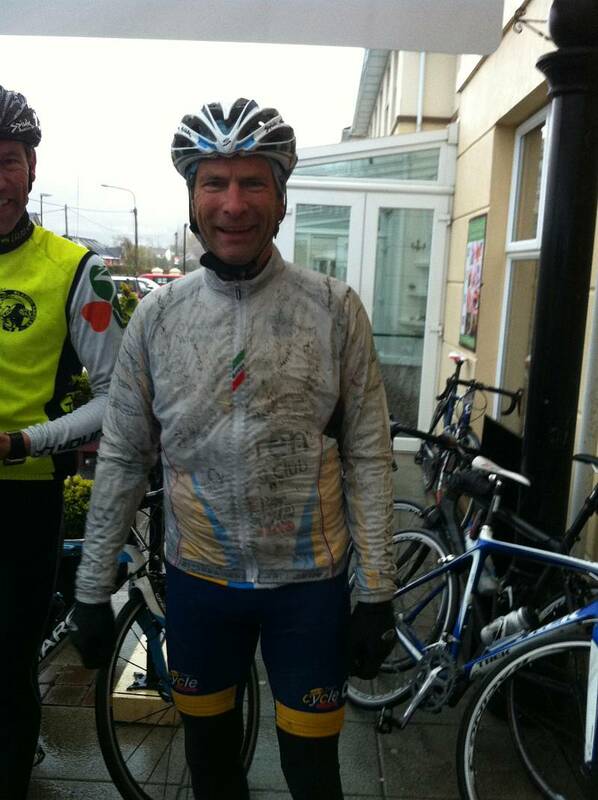 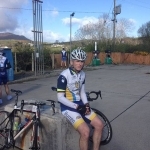 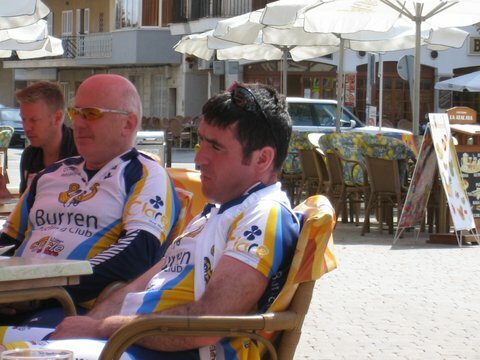 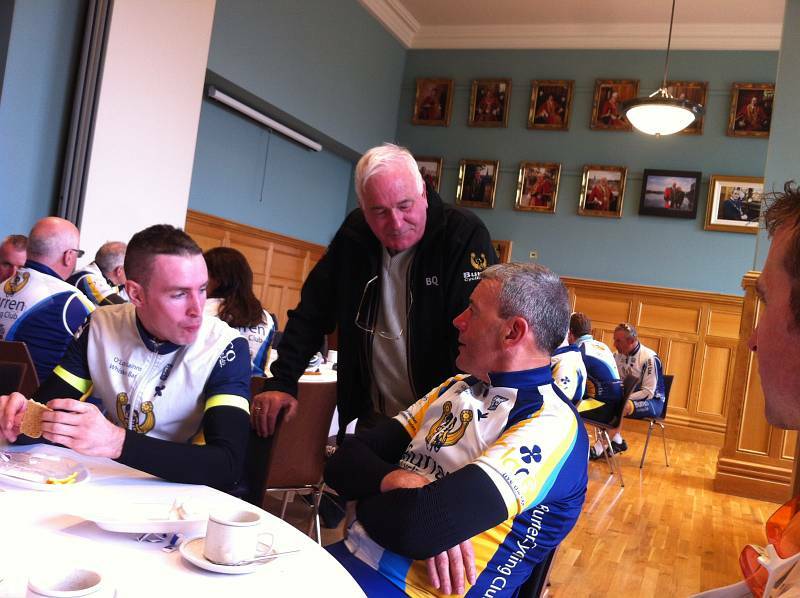 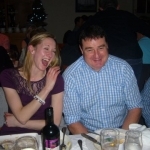 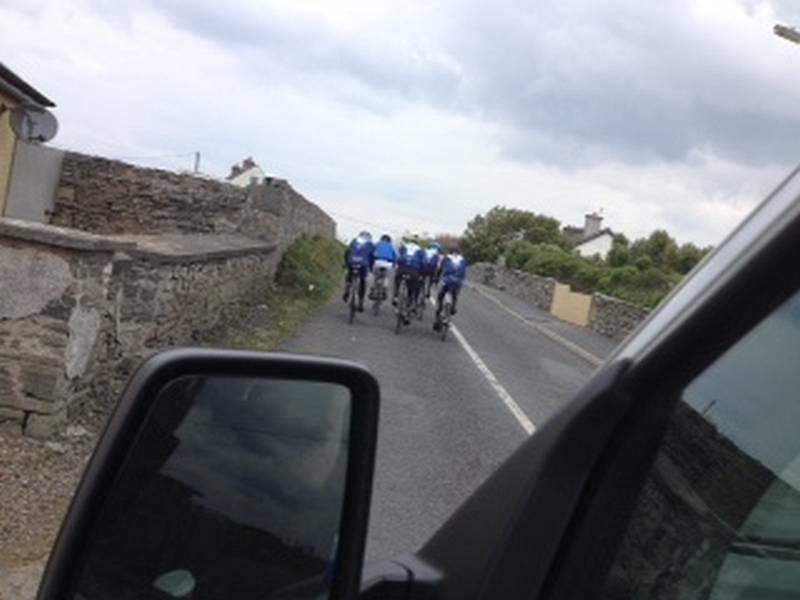 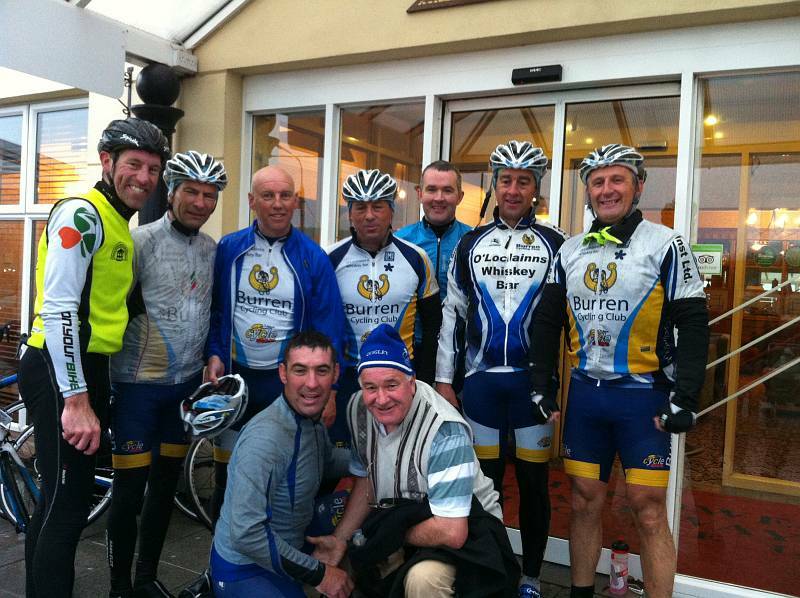 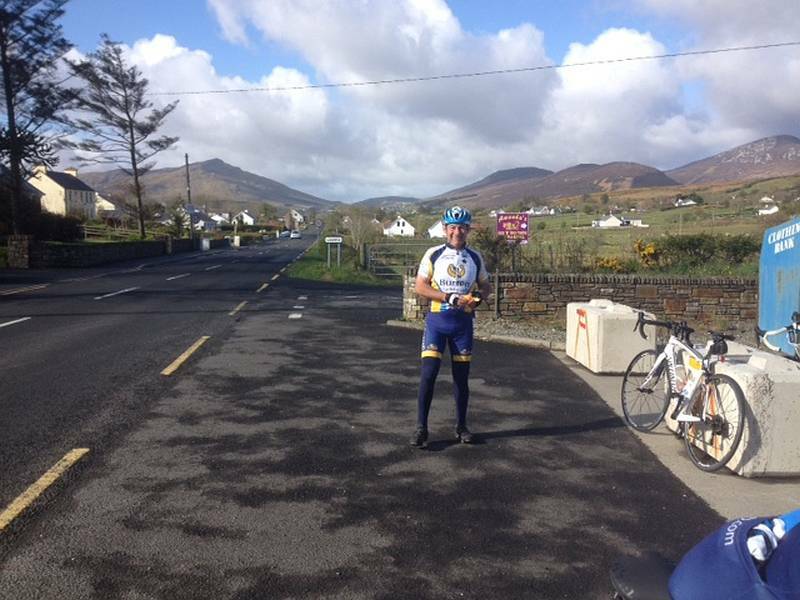 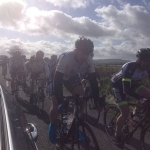 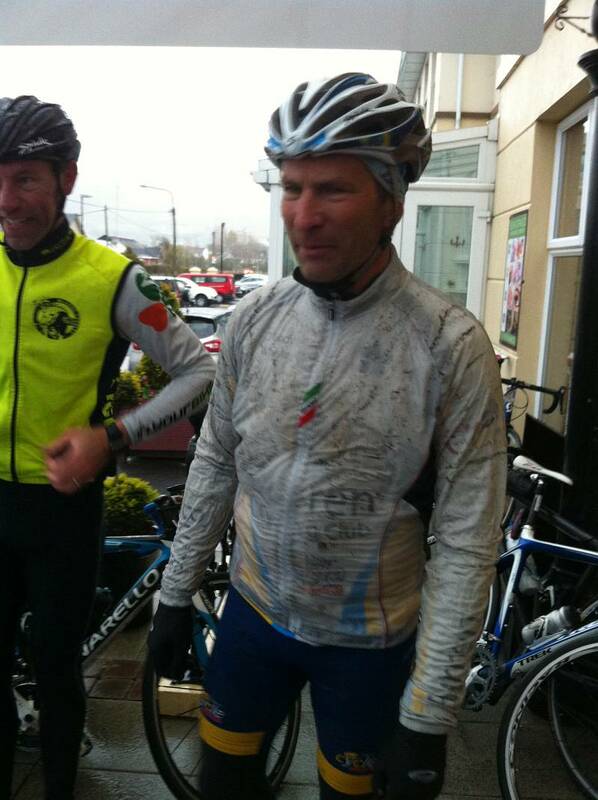 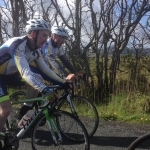 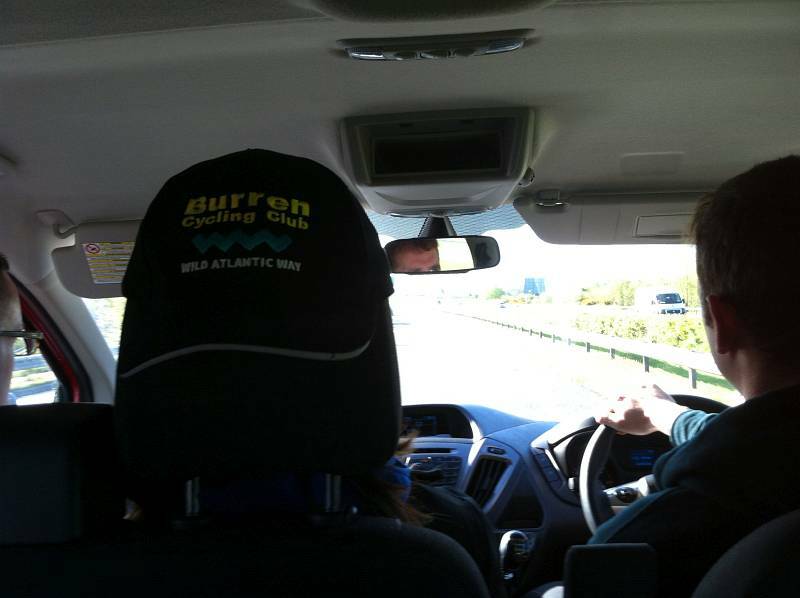 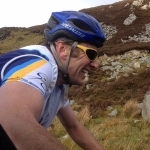 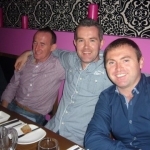 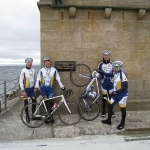 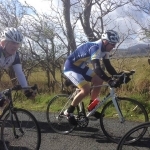 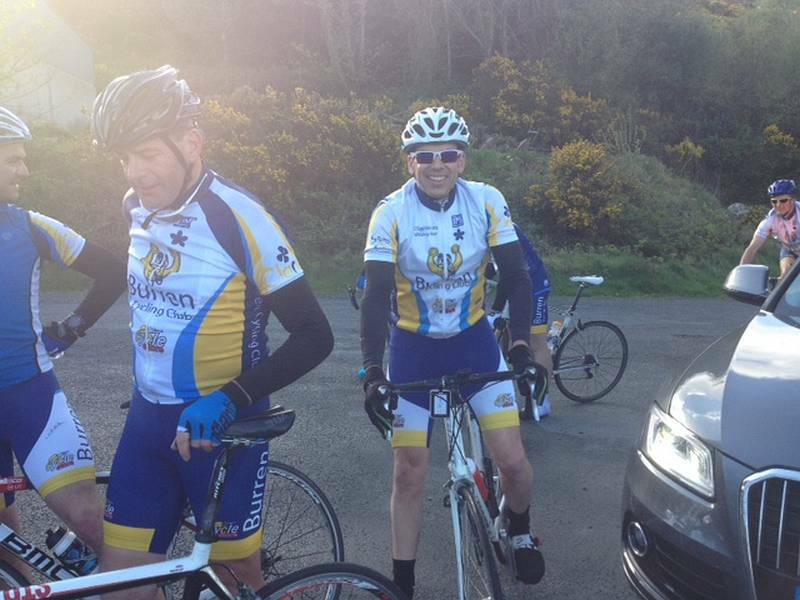 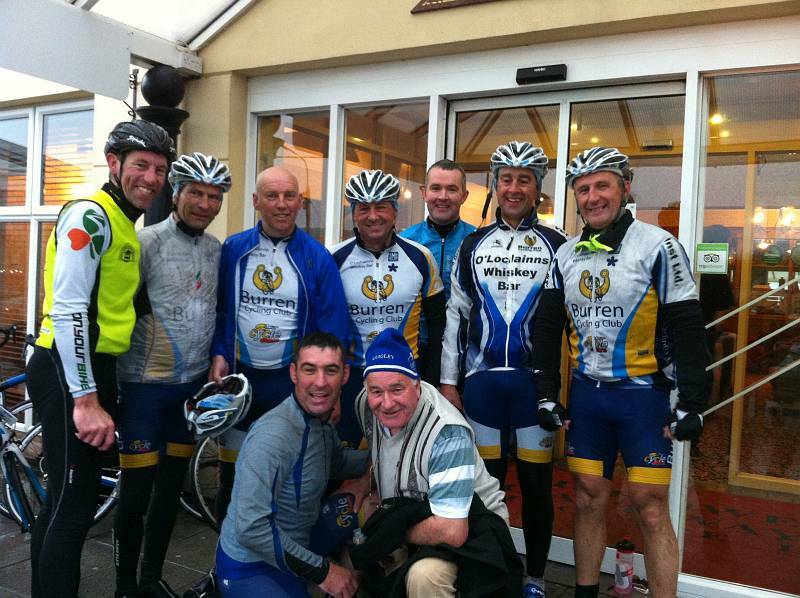 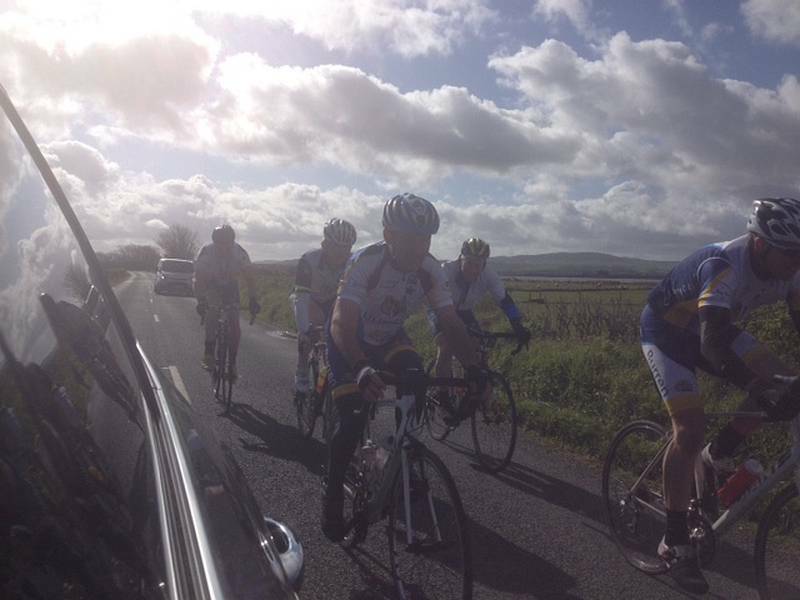 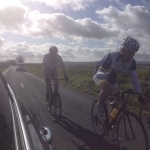 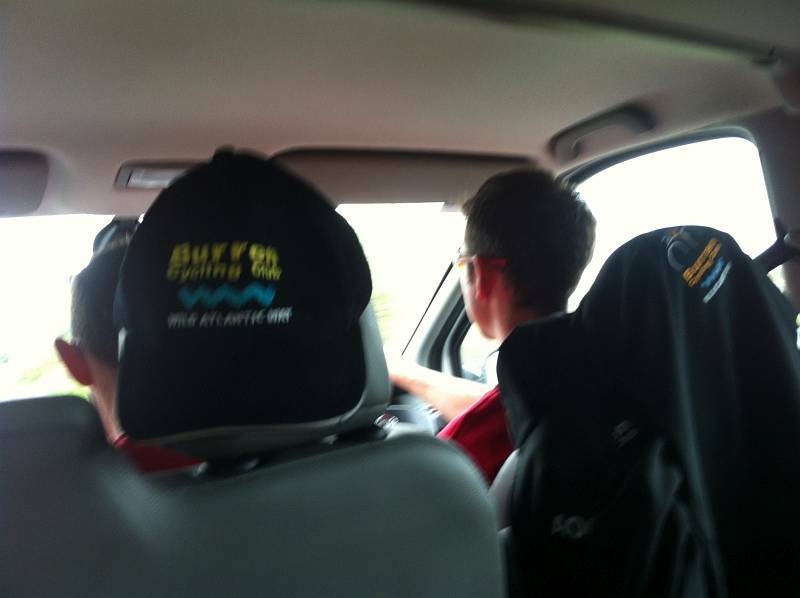 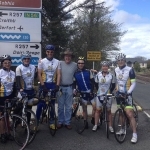 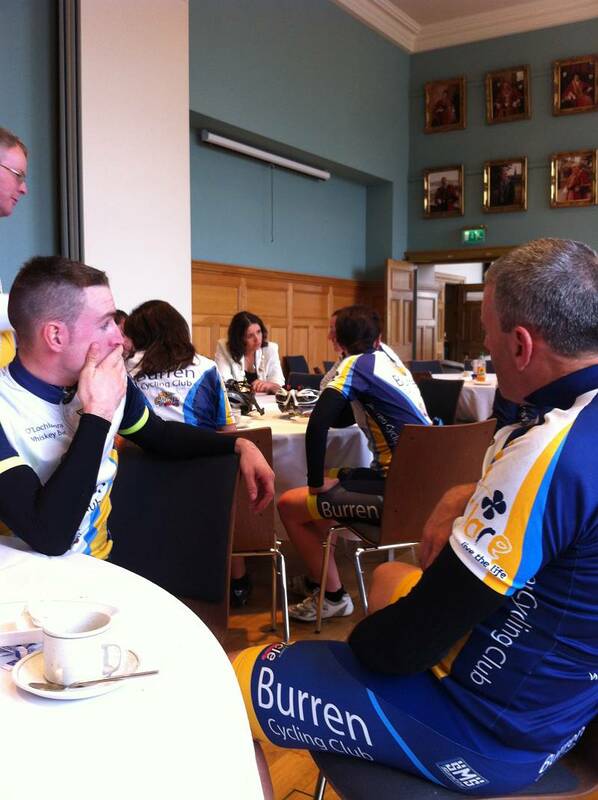 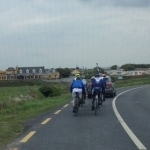 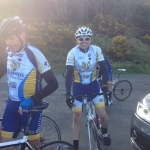 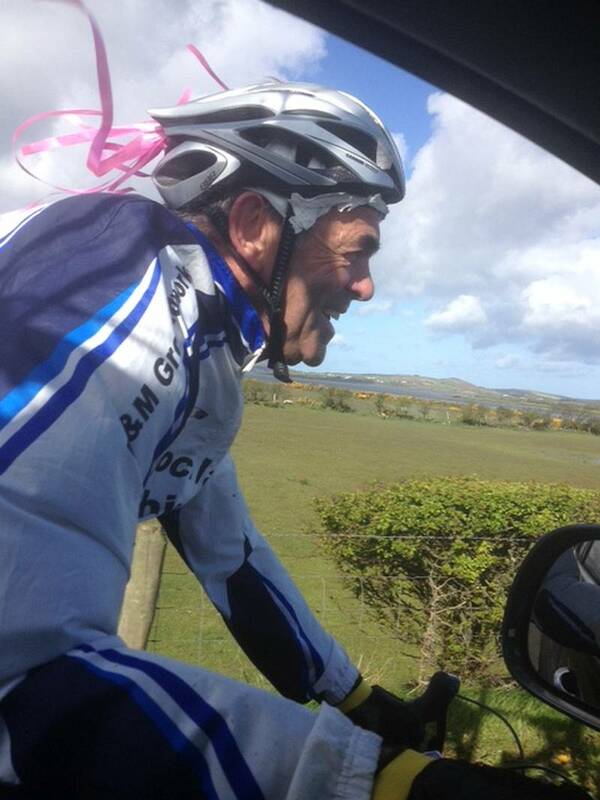 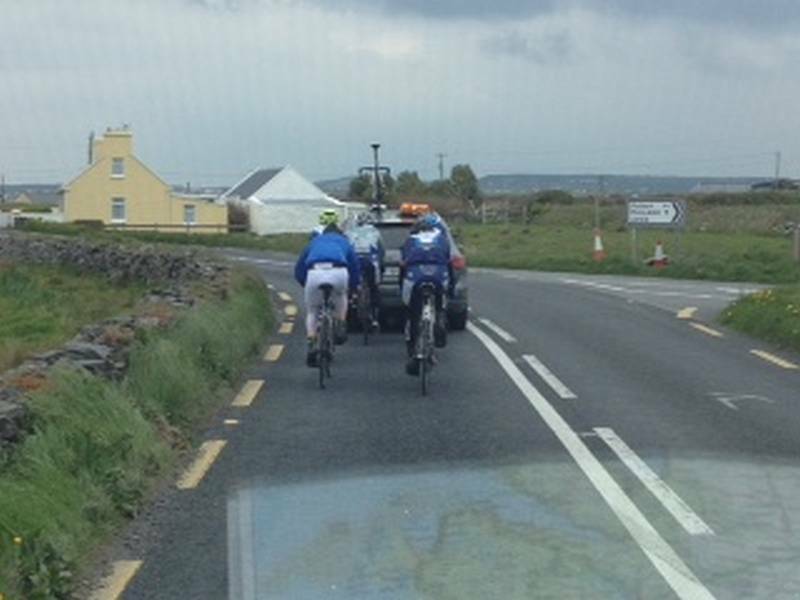 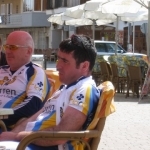 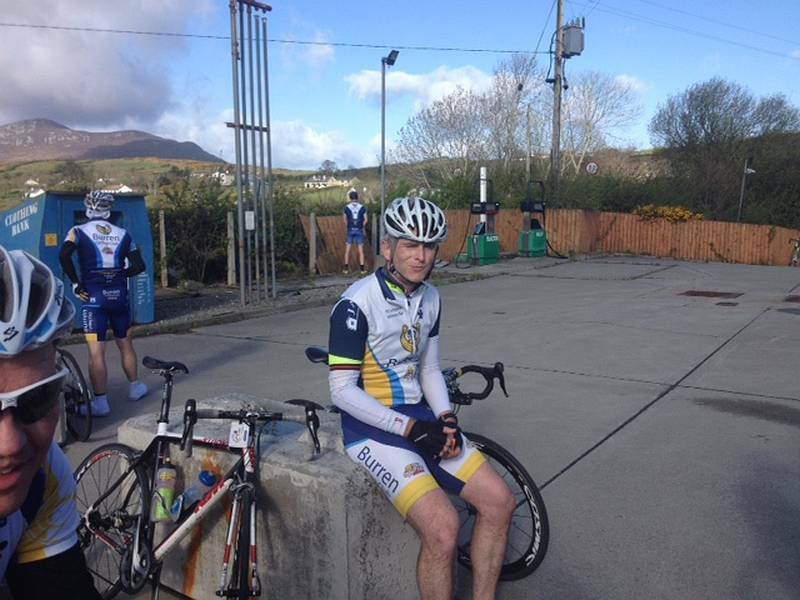 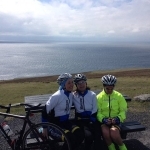 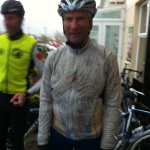 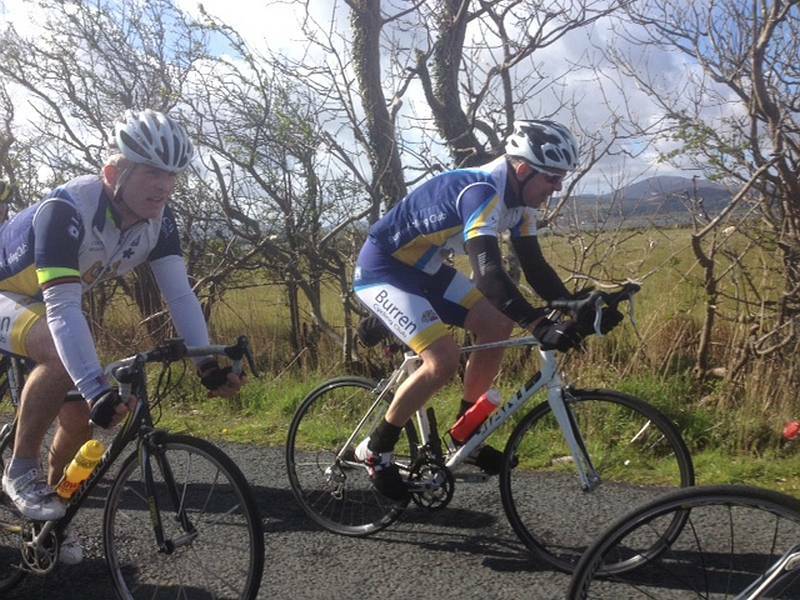 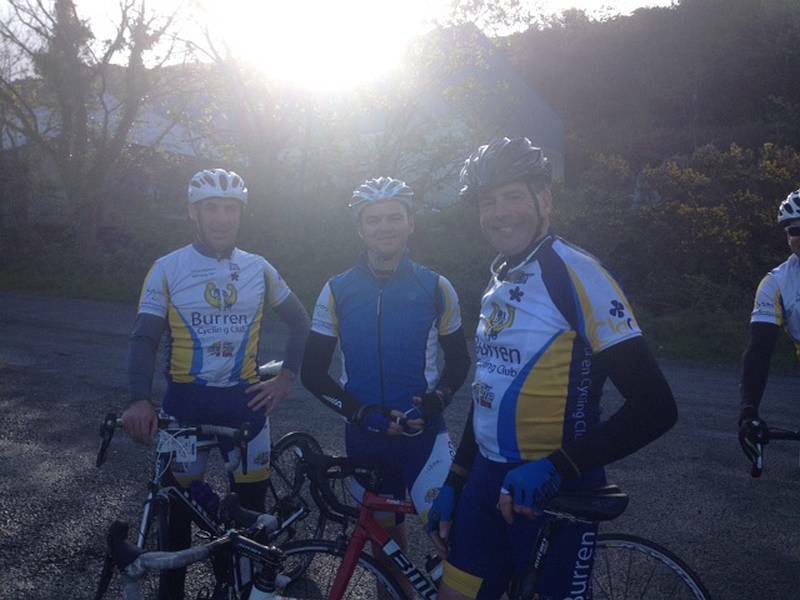 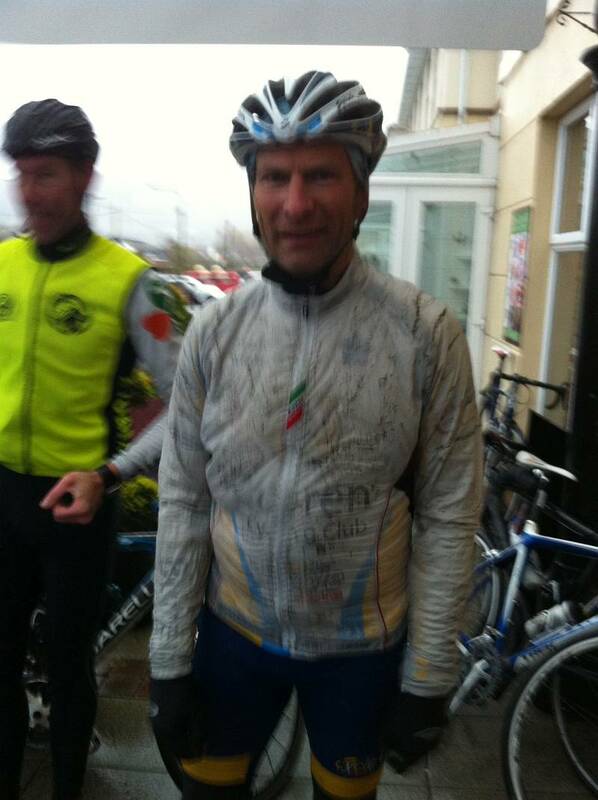 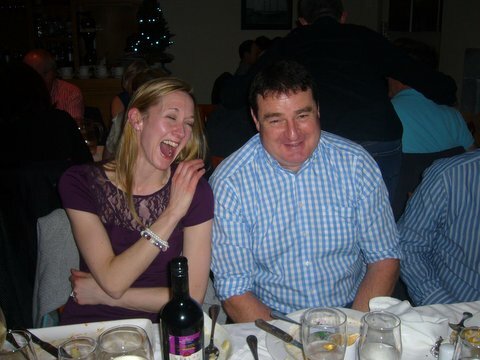 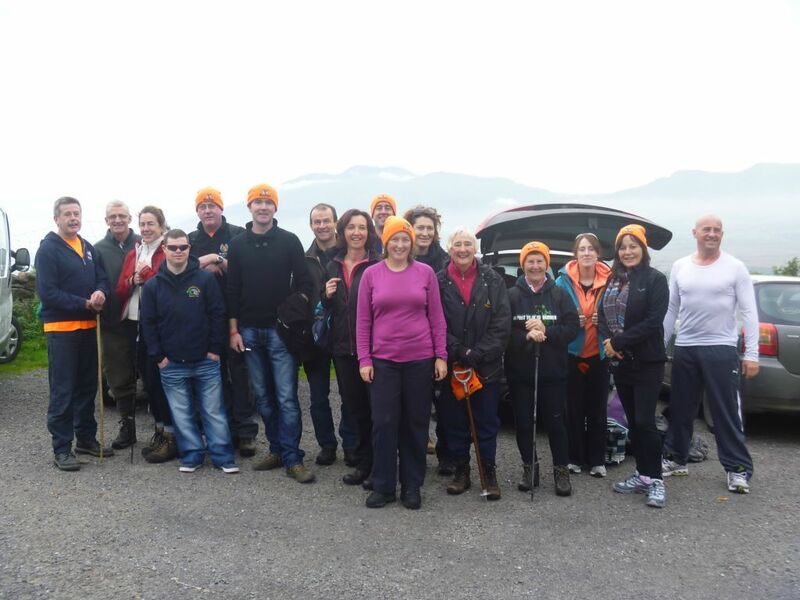 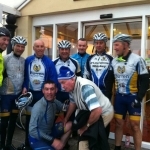 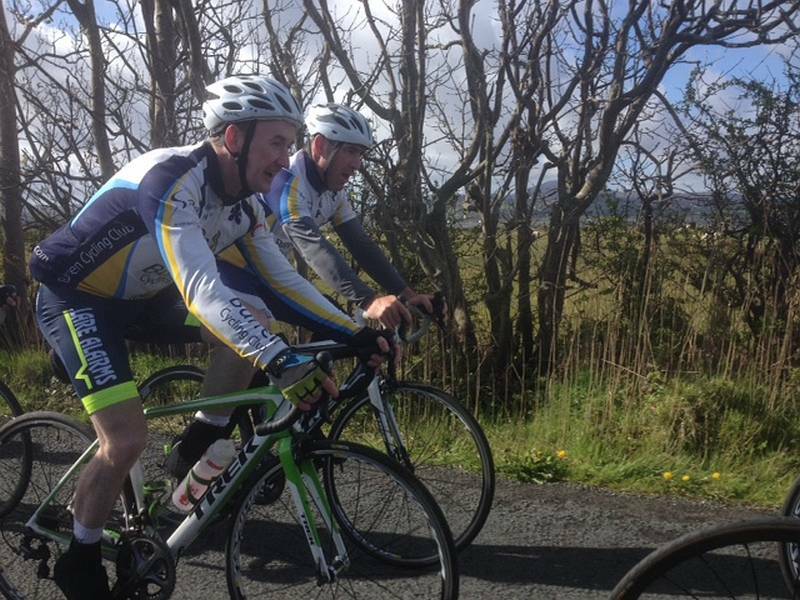 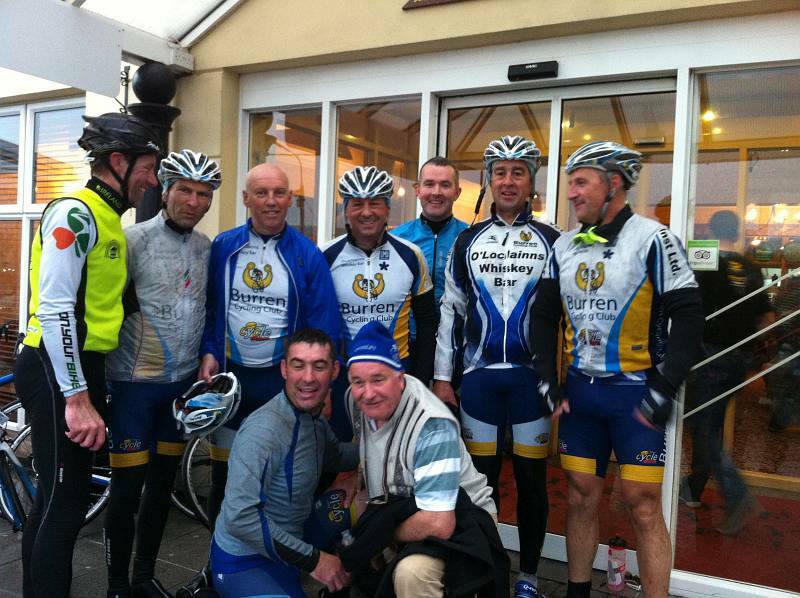 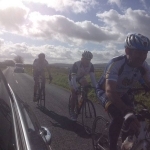 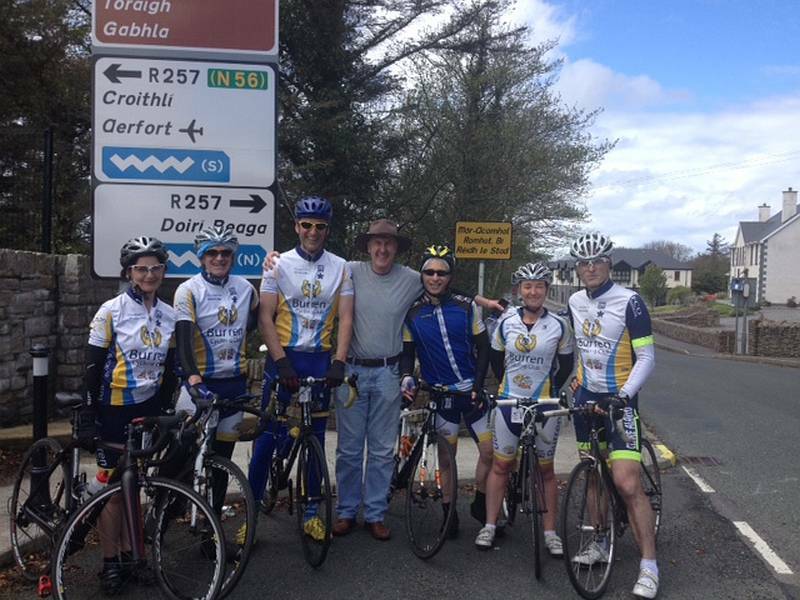 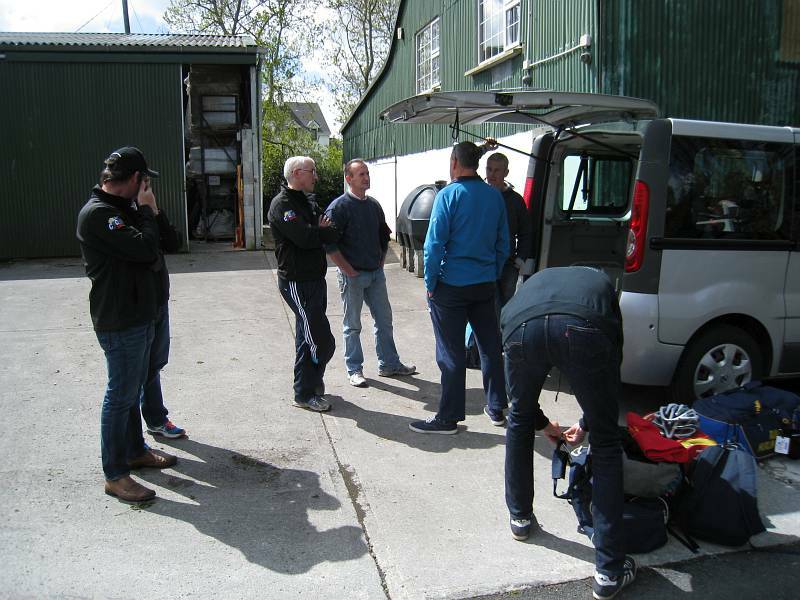 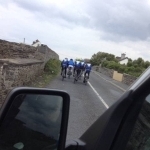 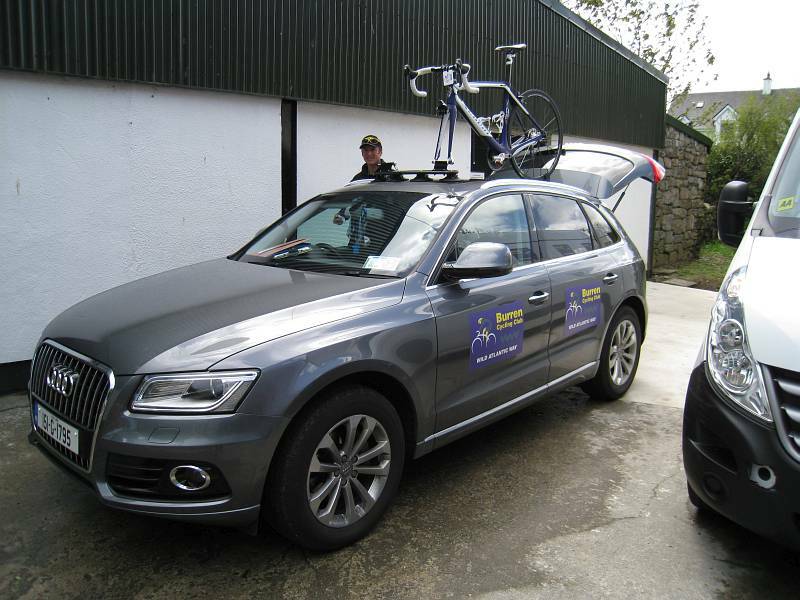 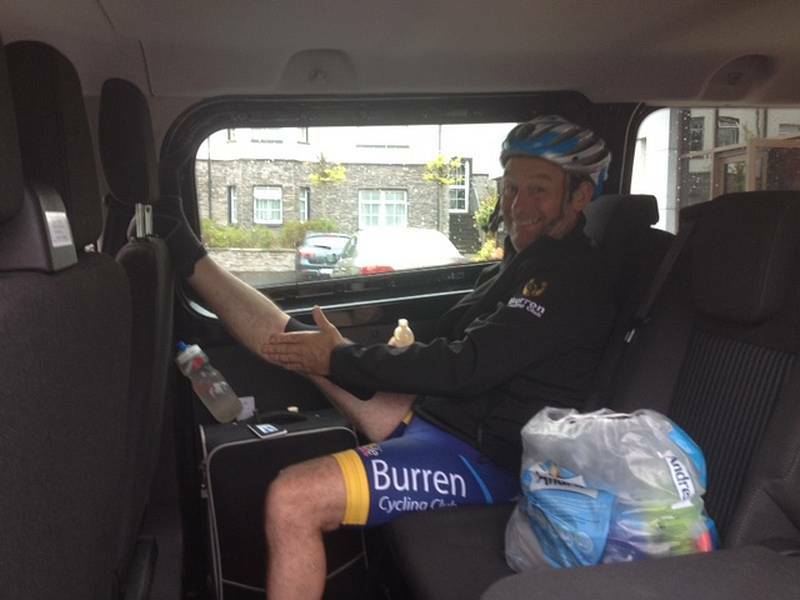 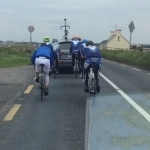 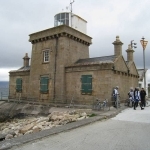 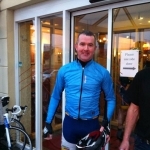 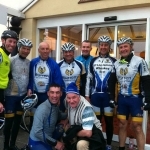 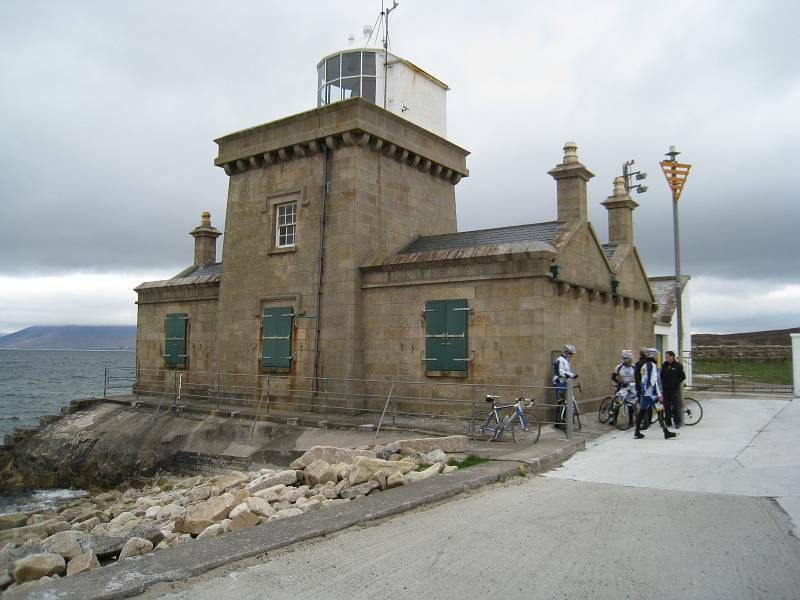 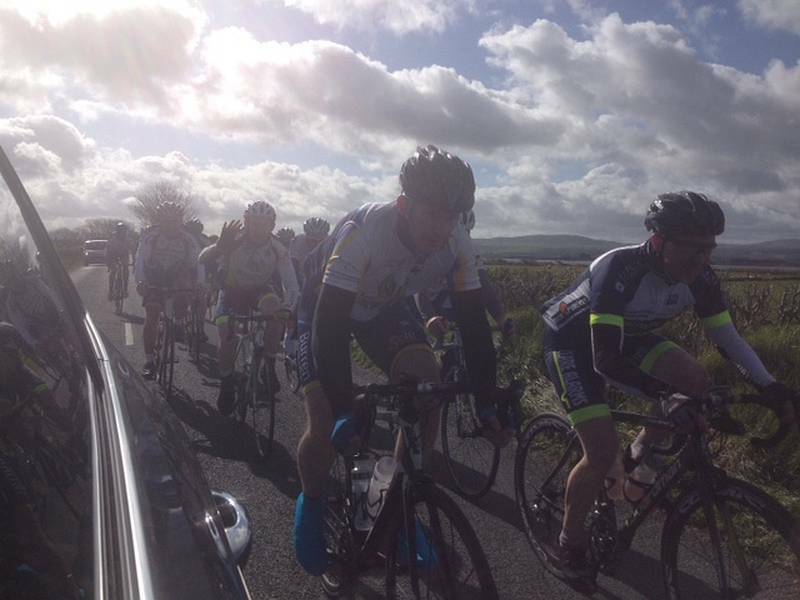 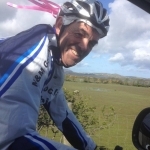 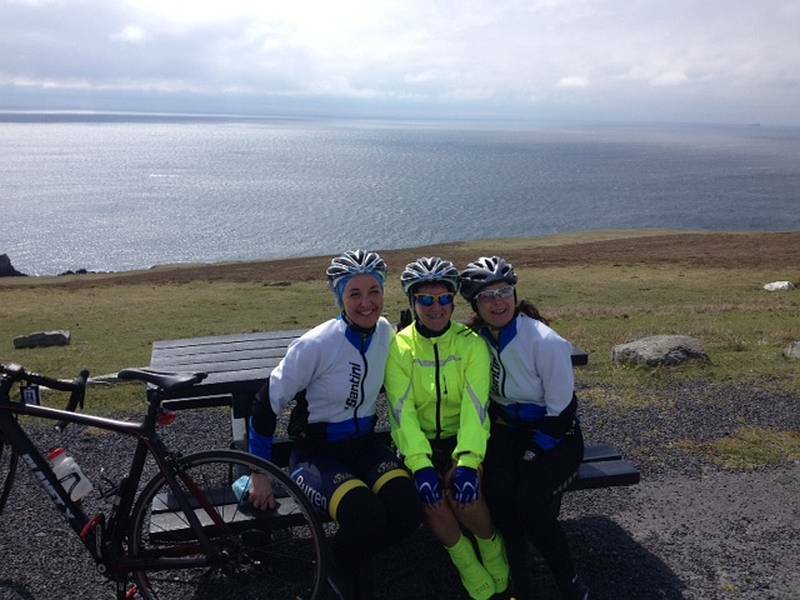 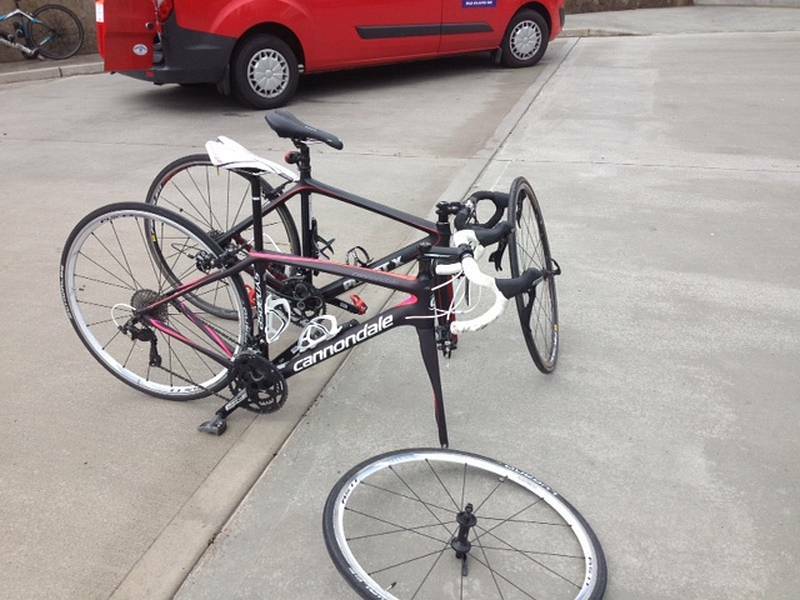 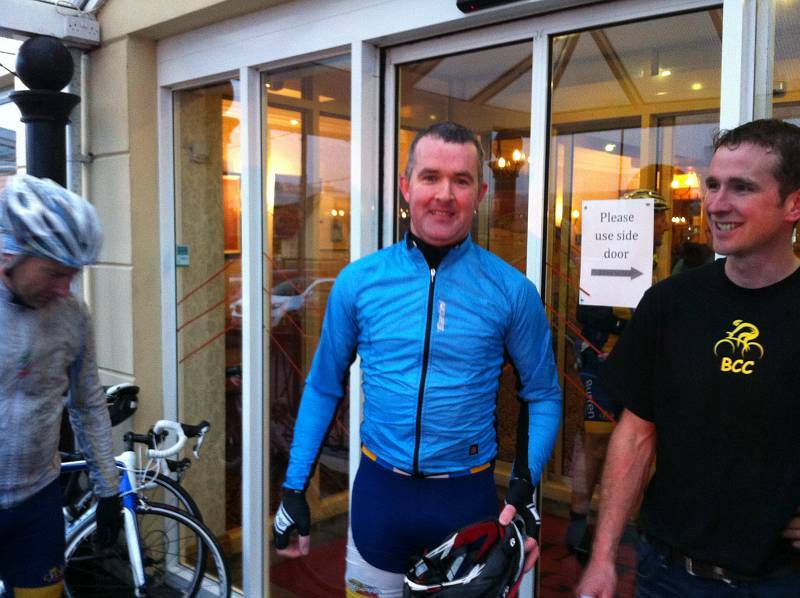 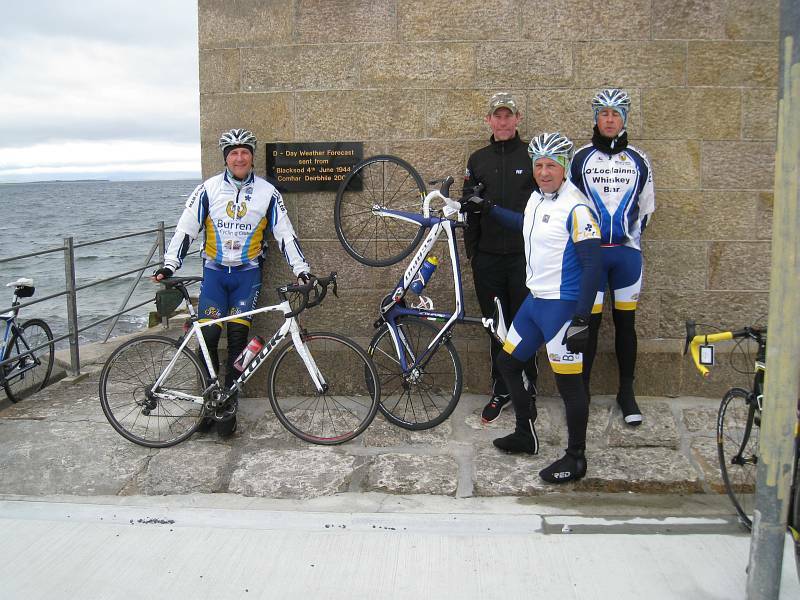 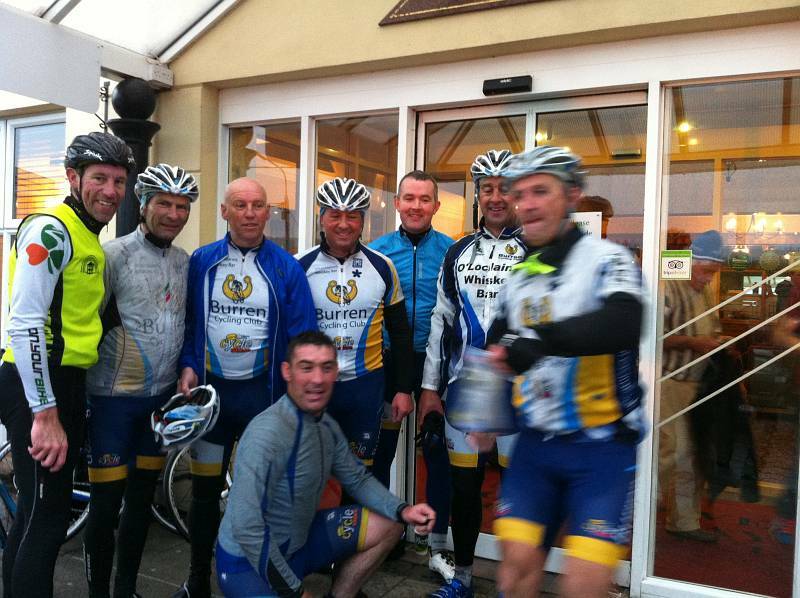 Day 5 – The 5th and final day is relatively short at about 150kms from Buncranna to Derry. 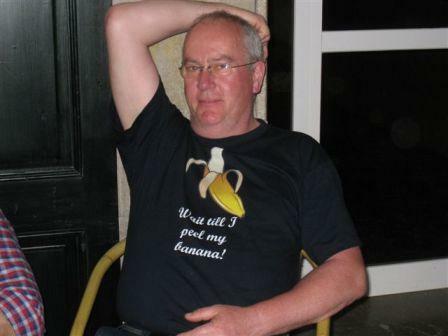 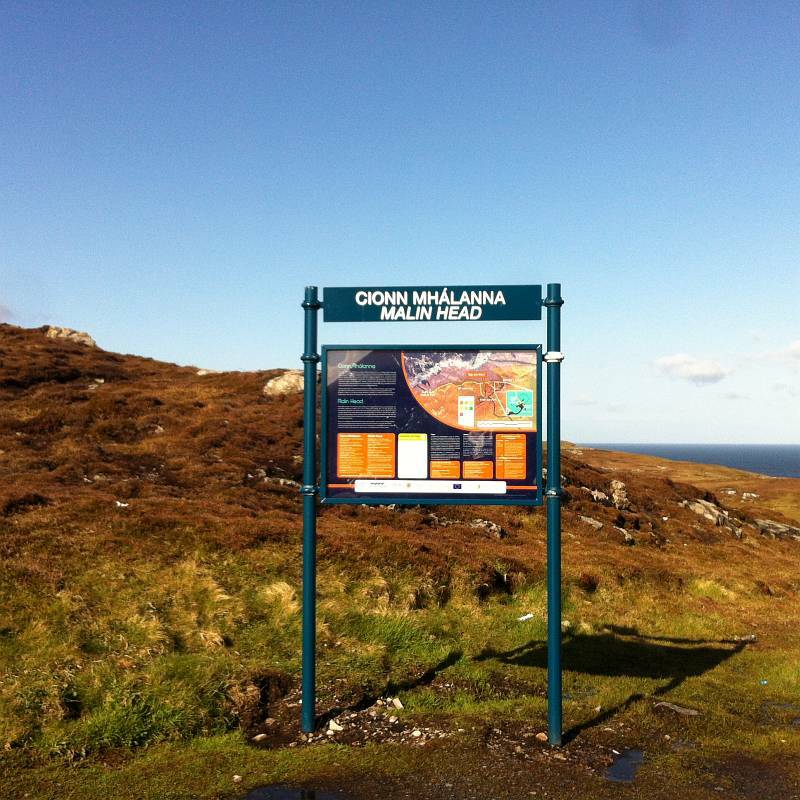 But anyone familiar with Malin Head knows this is no easy day. 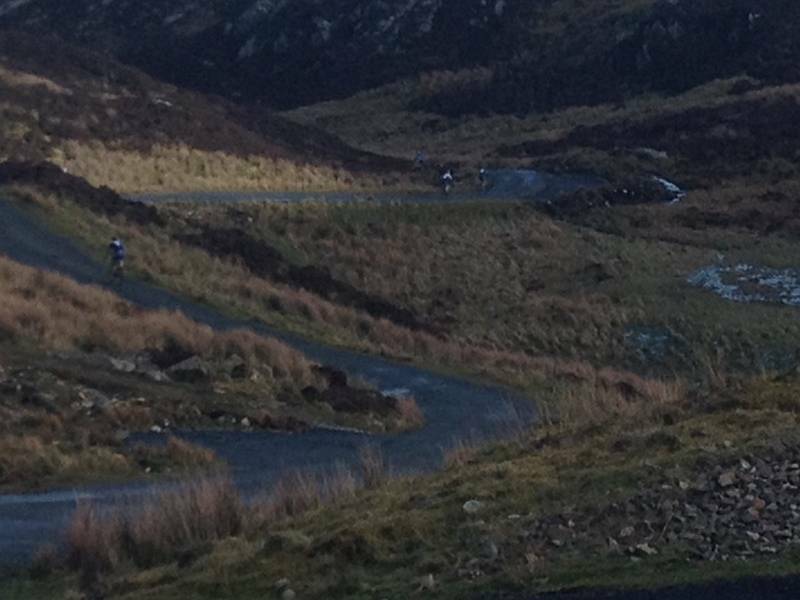 Some of the toughest (going up) and finest (going down) climbs in the country are in this part of the world. 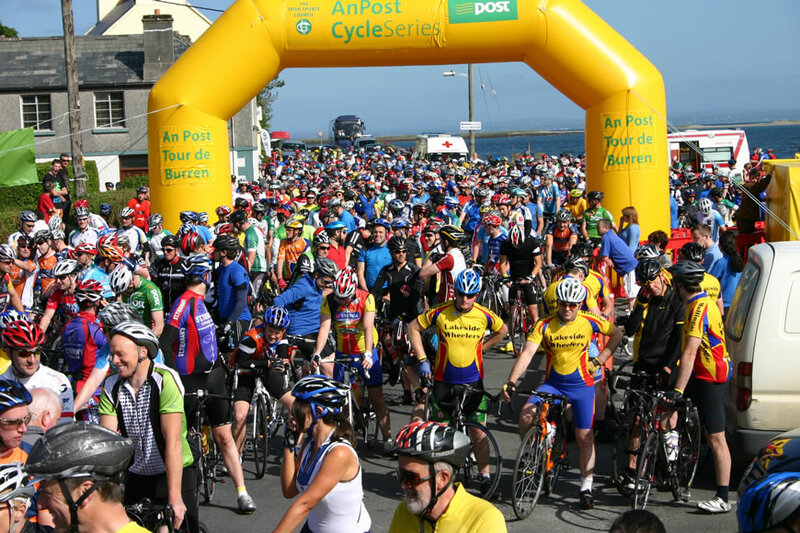 The cycle will be done in relay format, with the cyclists divided into teams of 5, with each team cycling roughly 100kms per day. 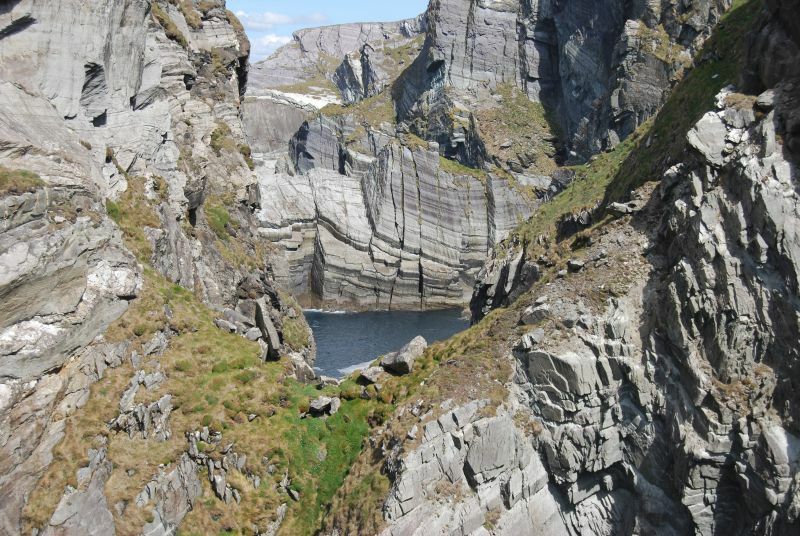 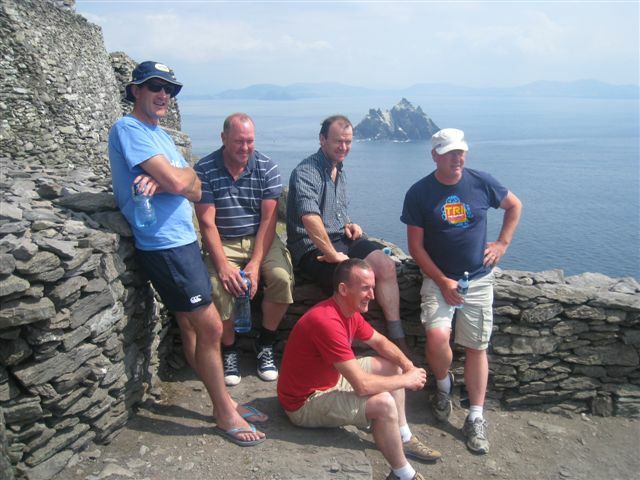 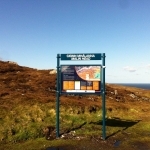 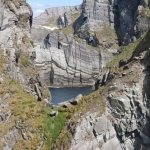 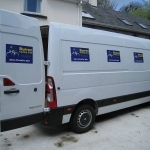 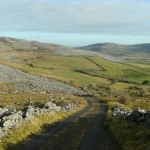 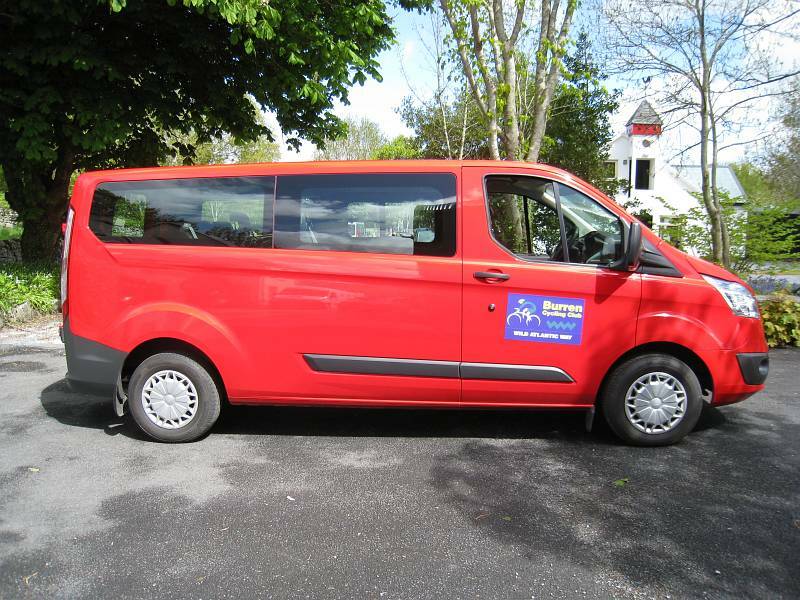 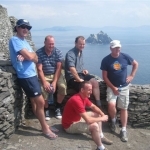 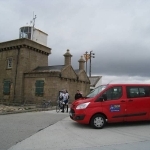 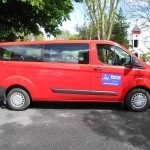 he Wild Atlantic Way is the world’s longest defined coastal touring route. 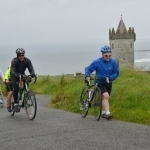 With so many points of interest, distraction, discovery and beauty along the route, this has to be not only the world’s longest, but also most spectacular, coastal route. 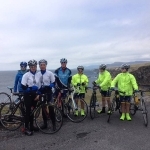 Why not join us and share some of the road (take the wind off our faces and make sure we don’t get lost!). 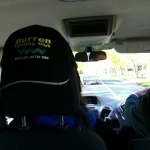 Contact us for ETA’s in your neck of the world.